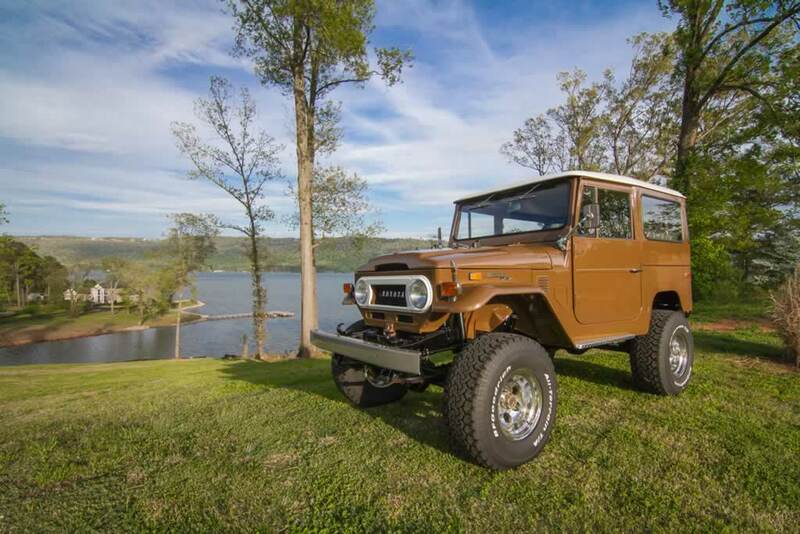 SOLD! 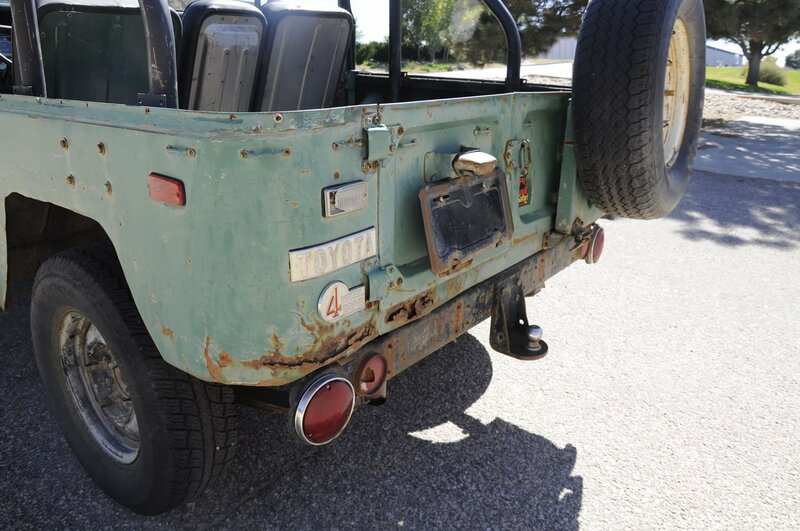 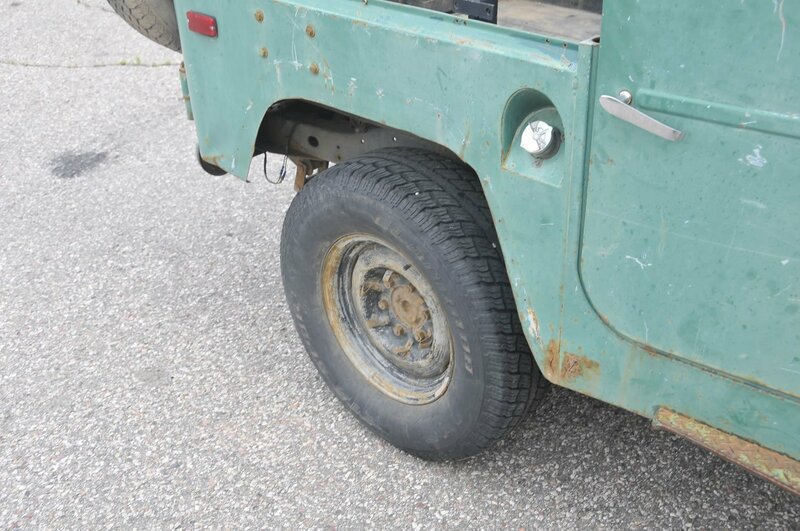 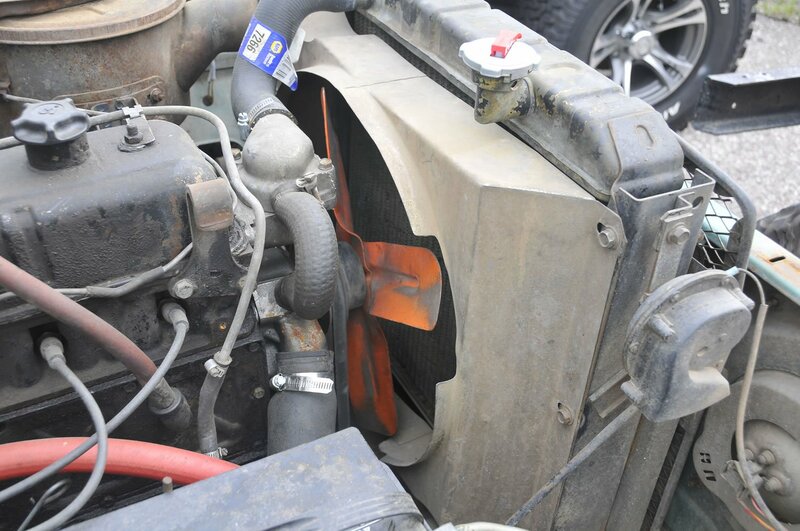 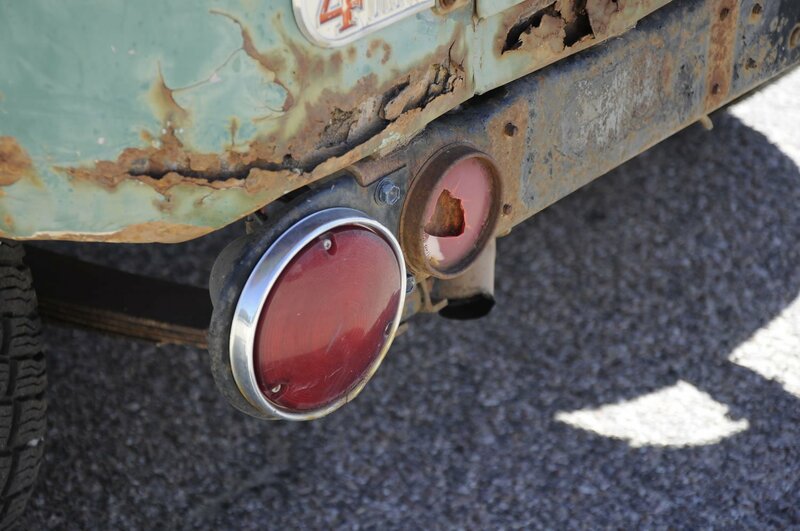 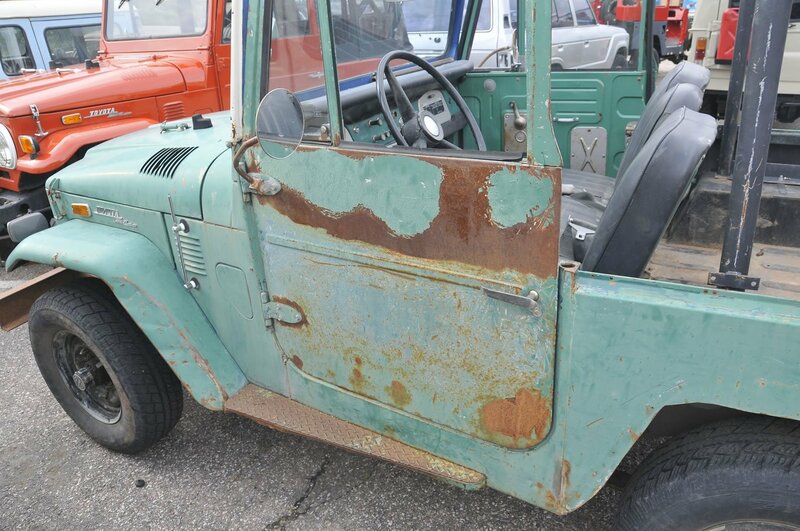 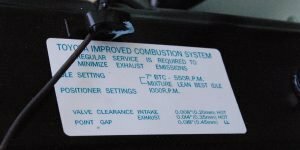 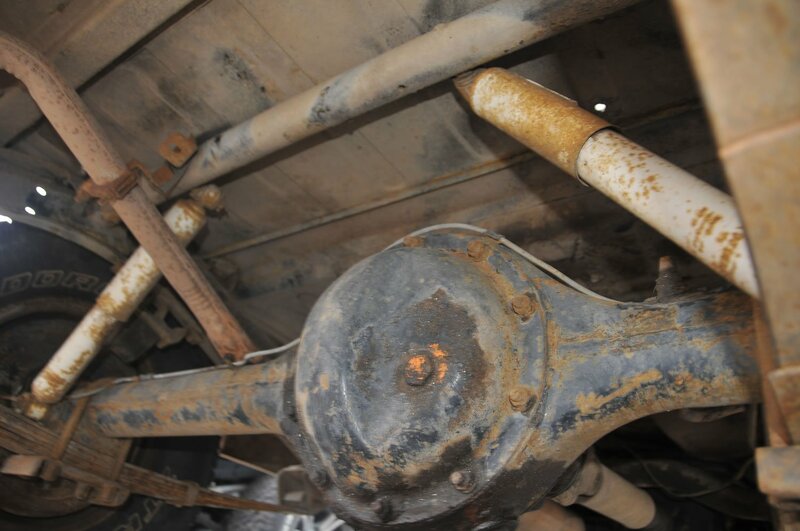 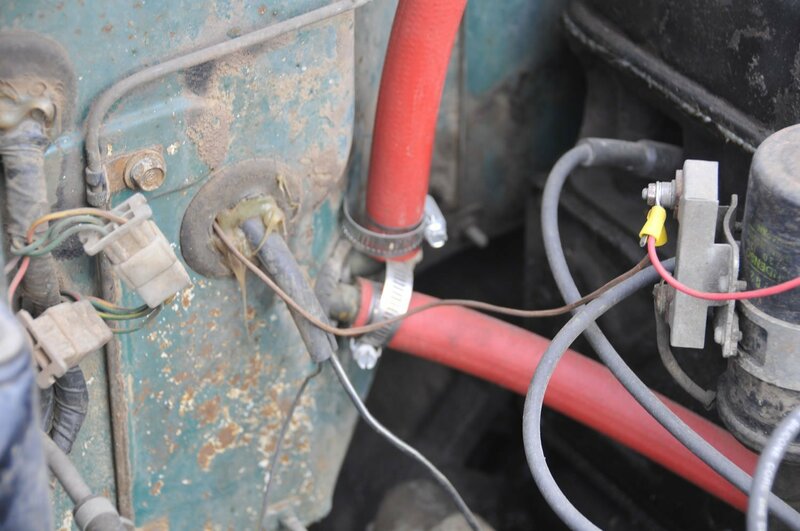 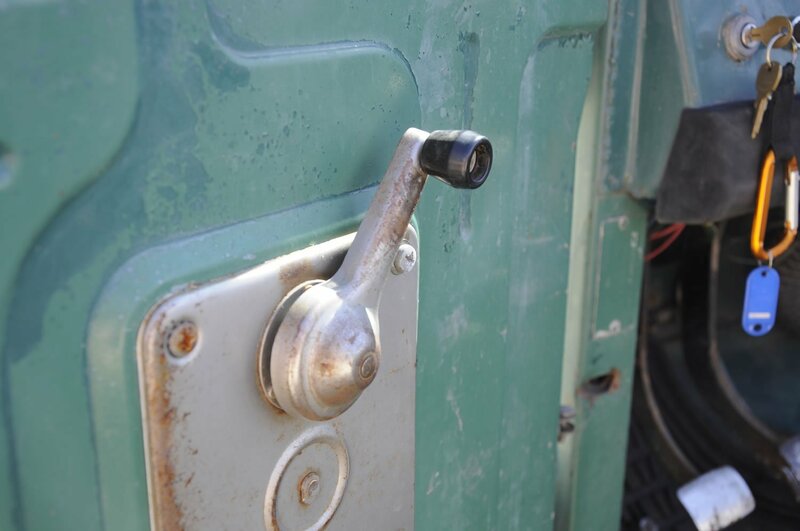 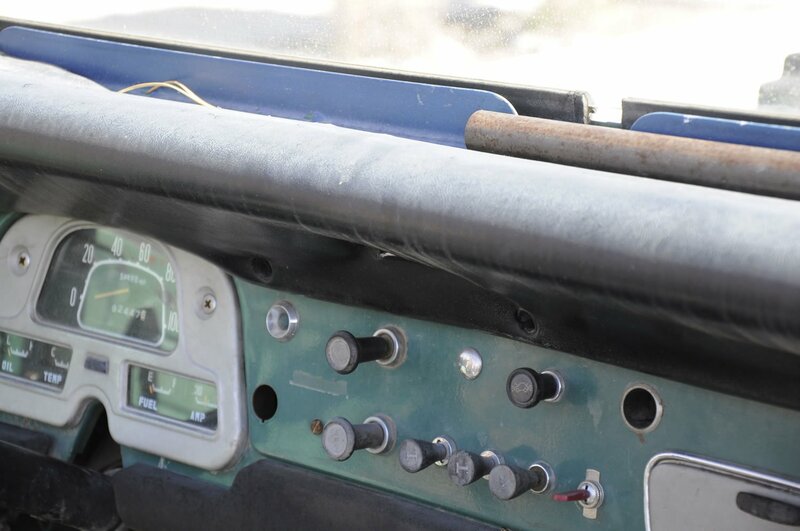 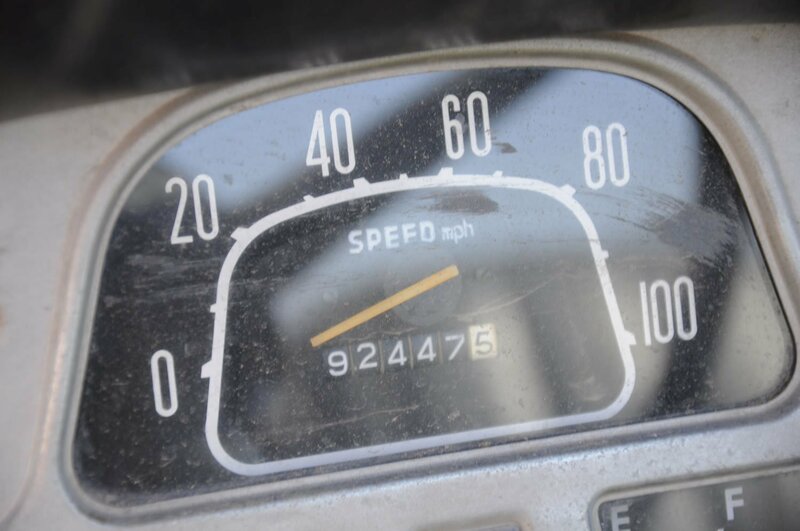 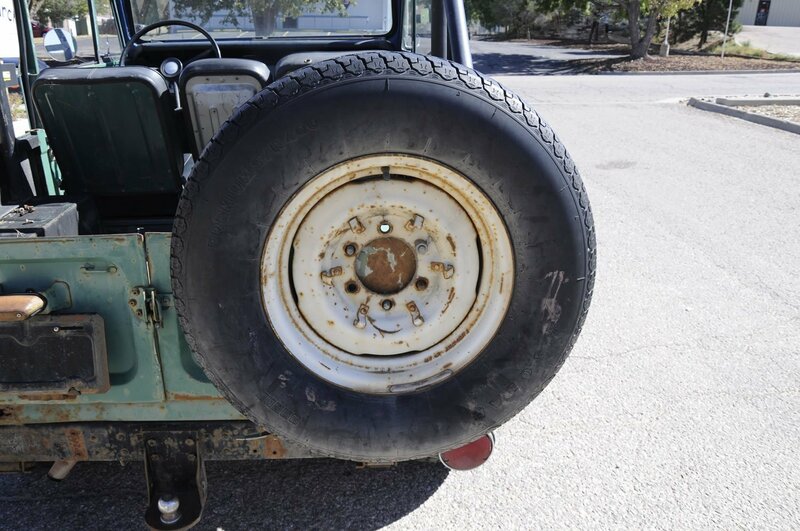 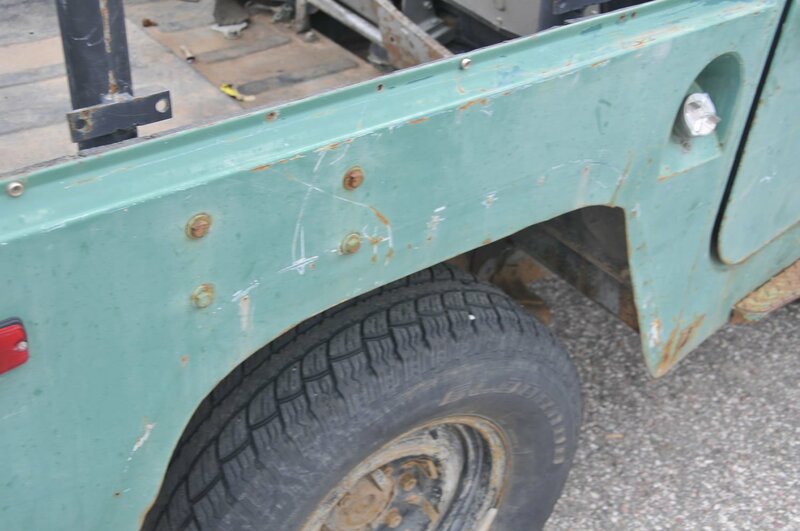 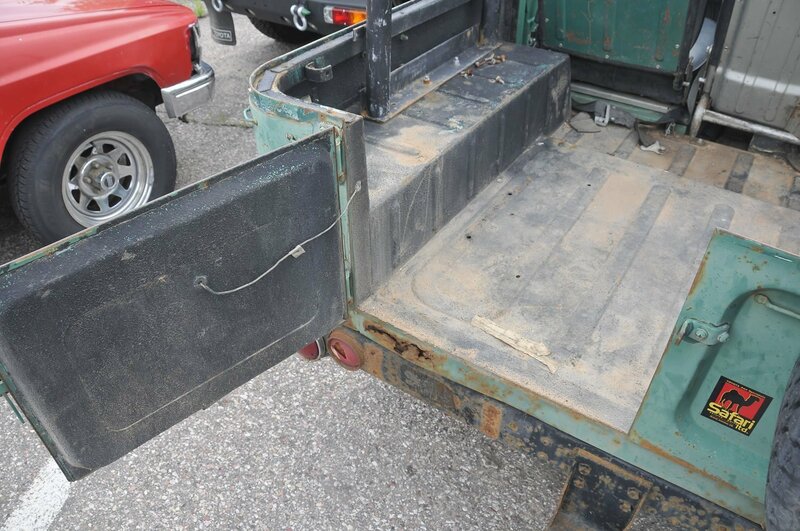 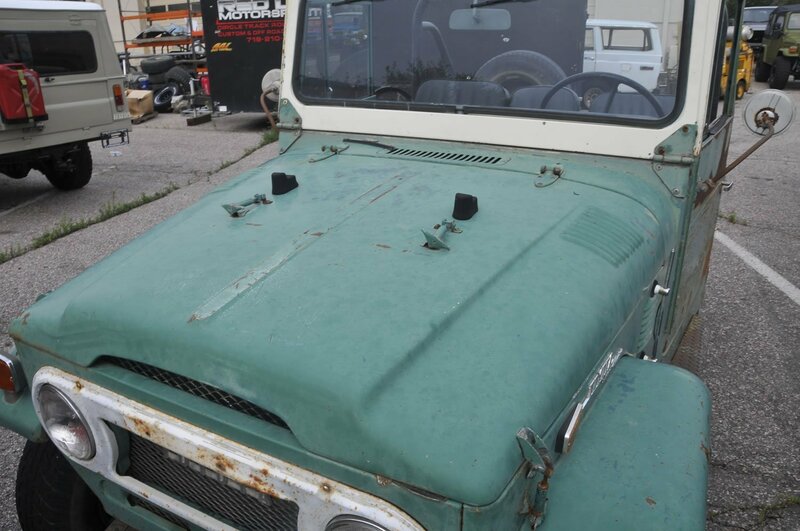 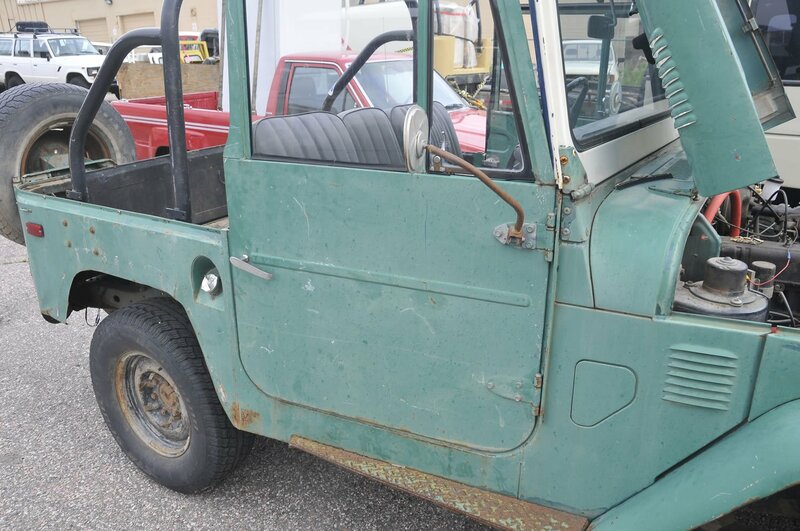 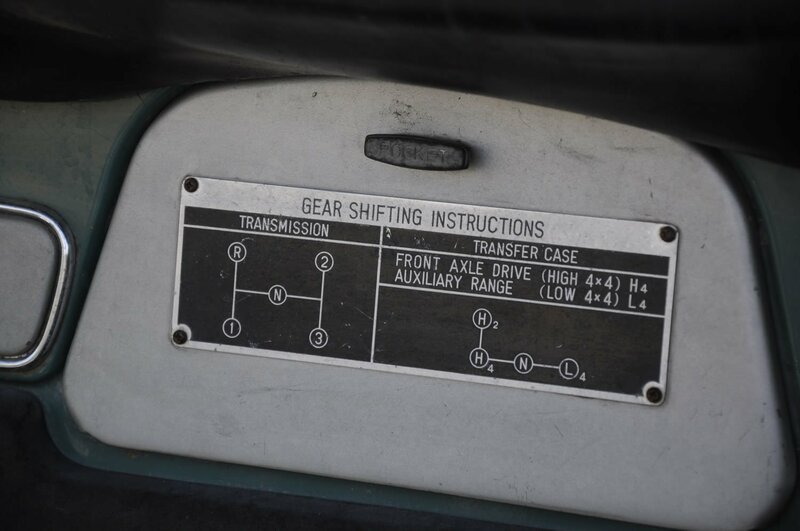 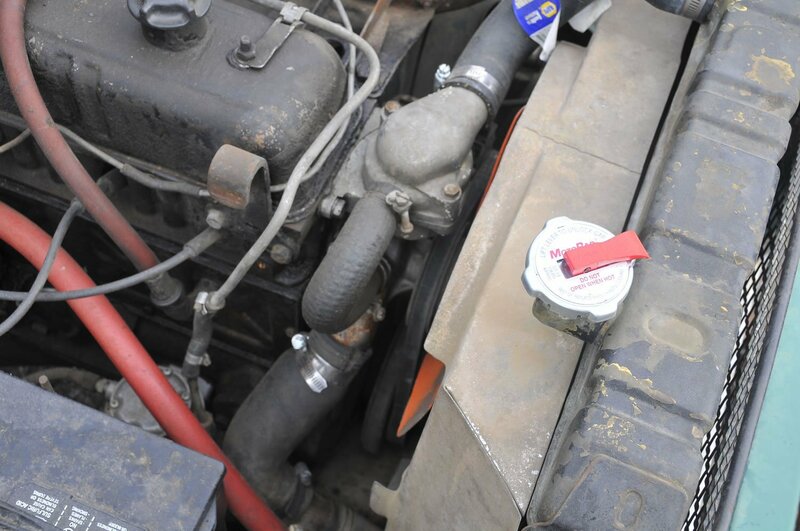 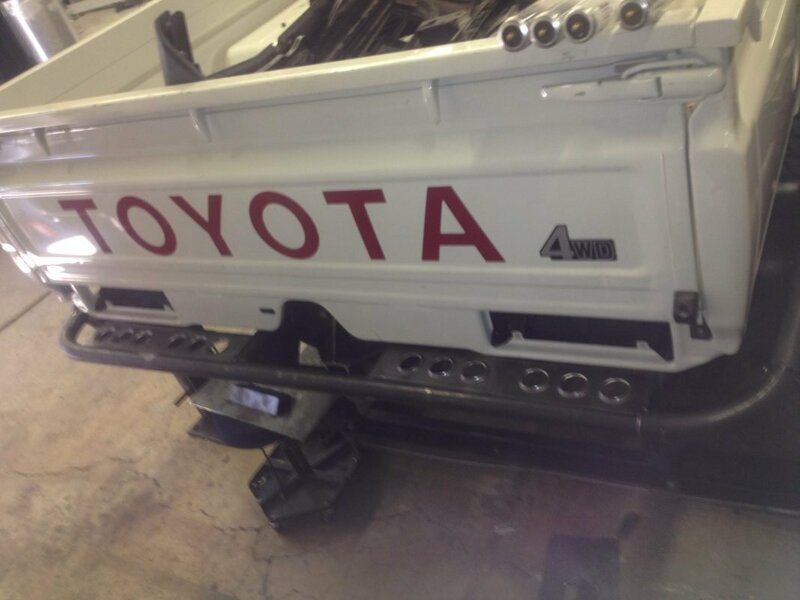 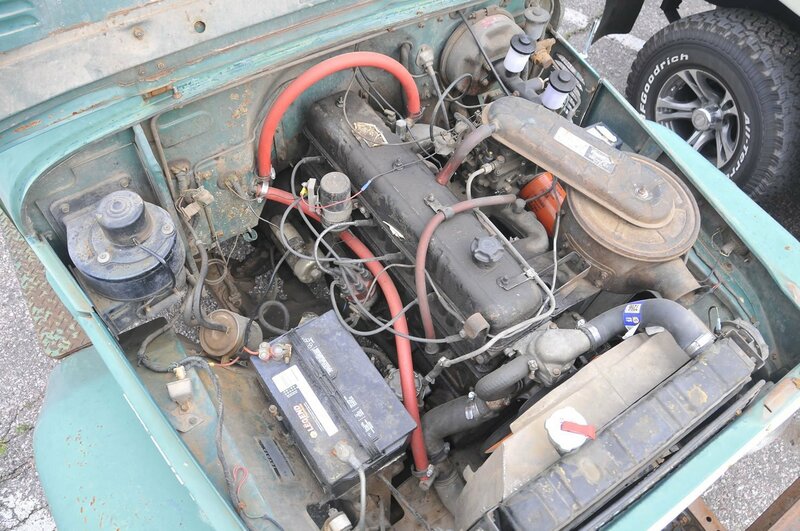 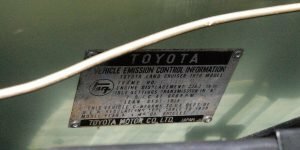 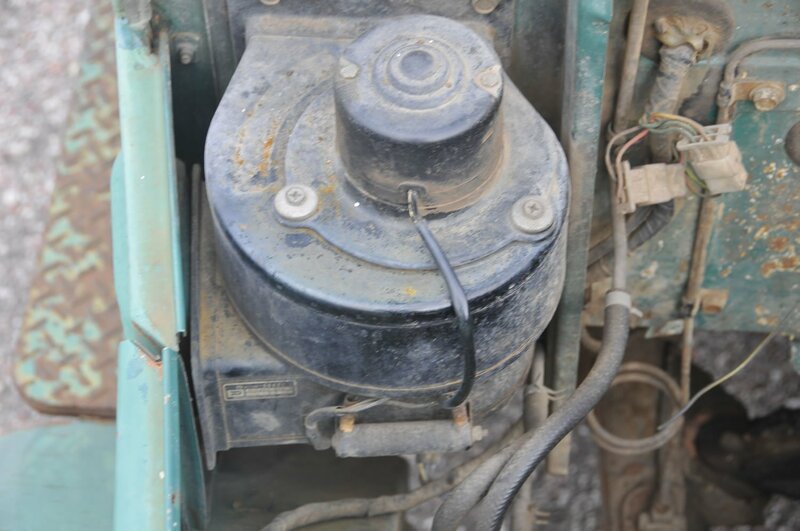 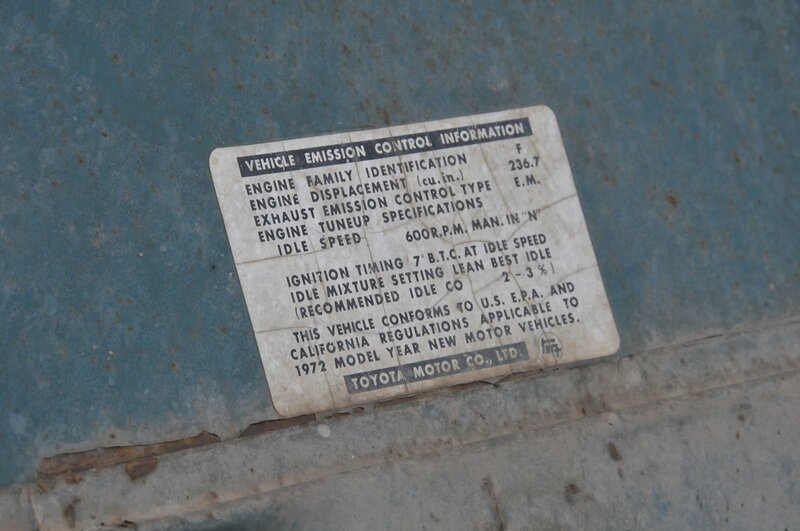 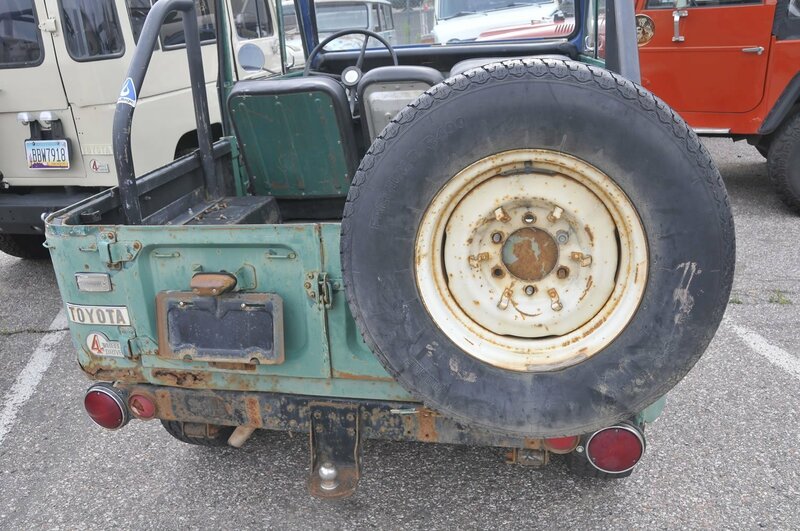 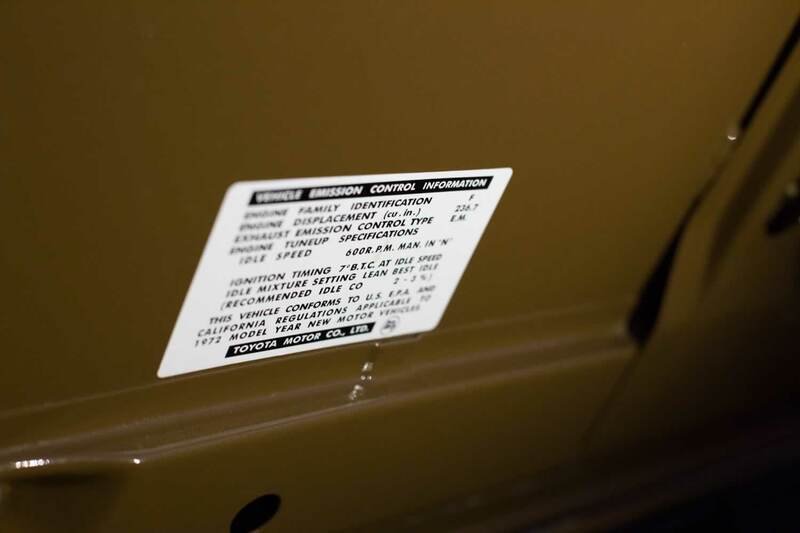 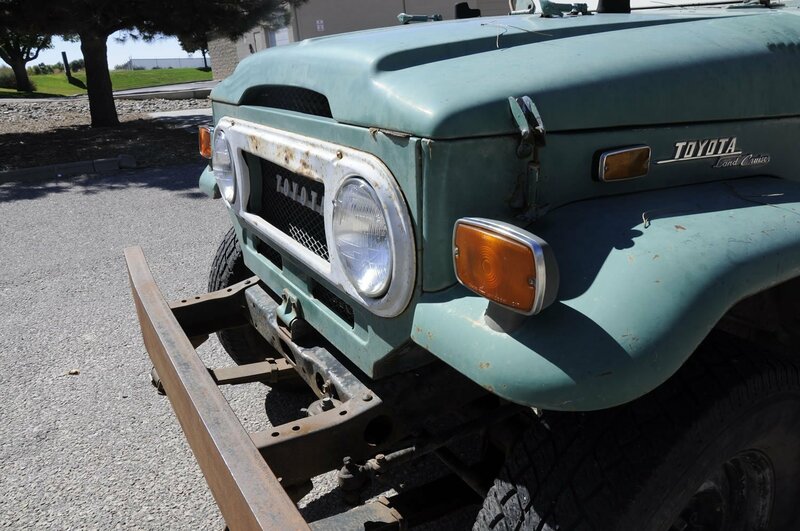 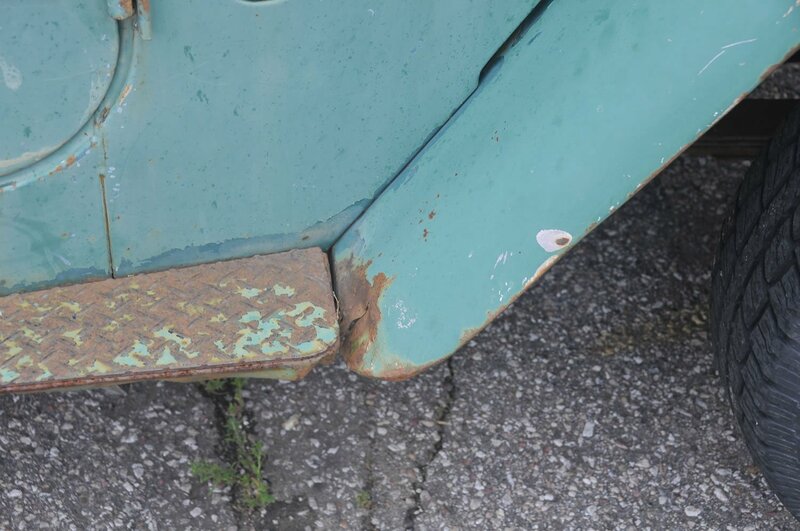 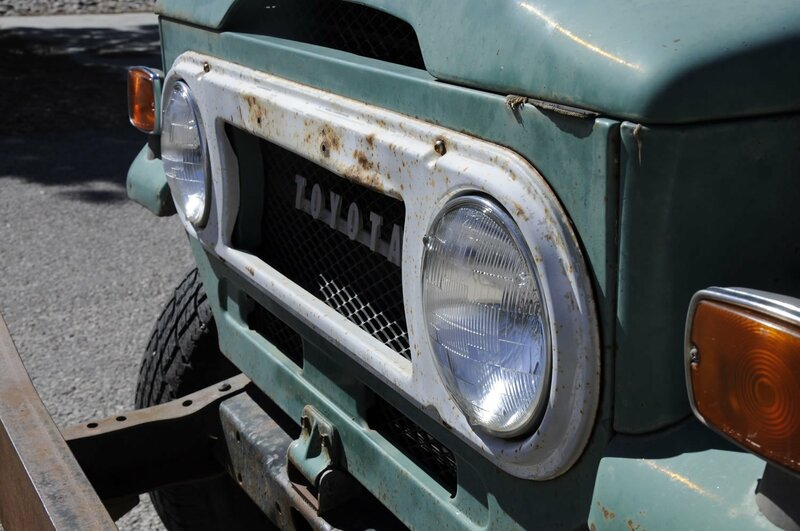 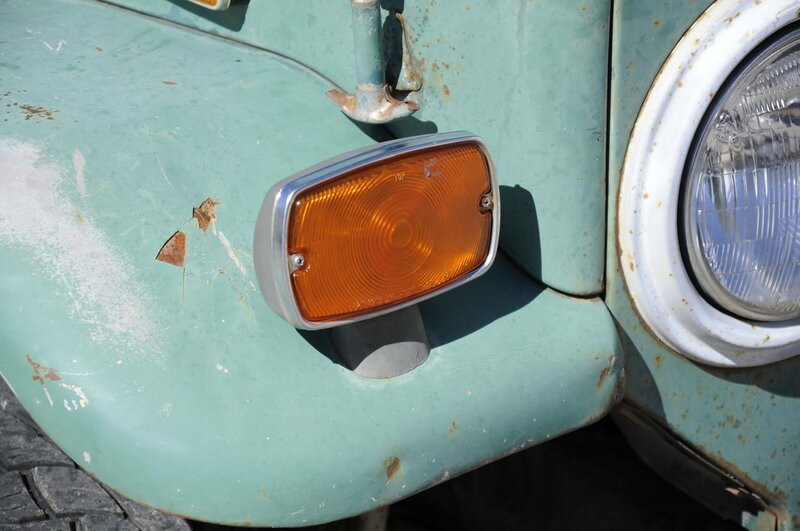 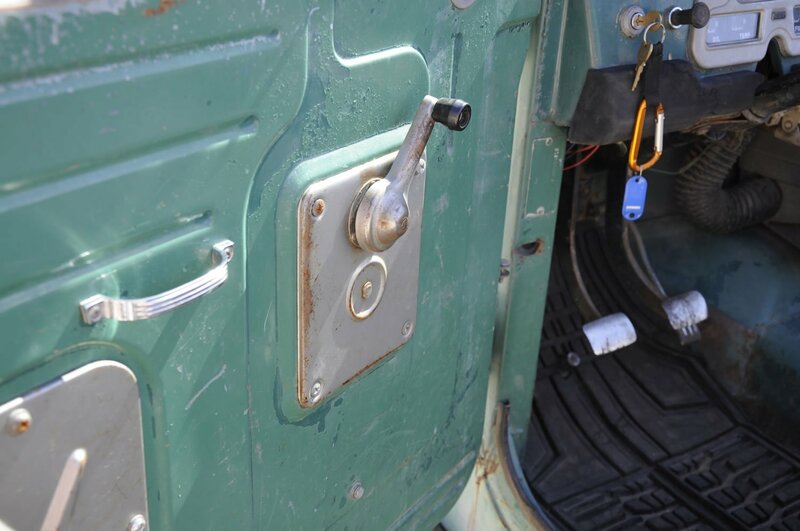 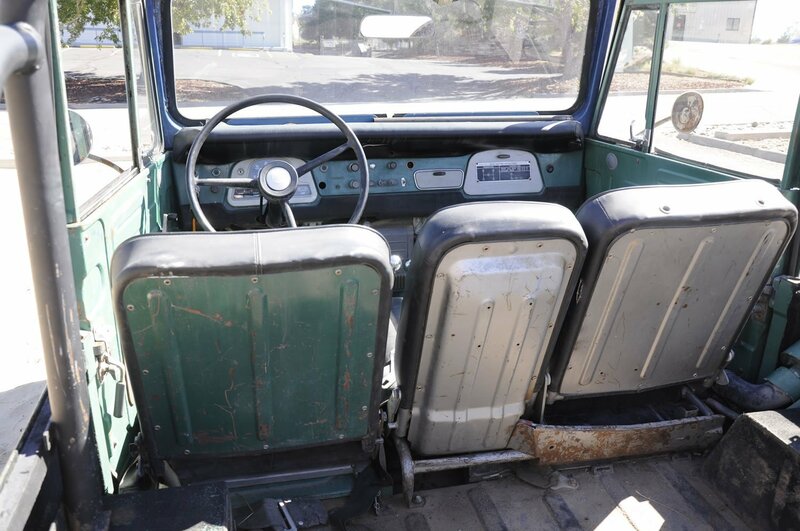 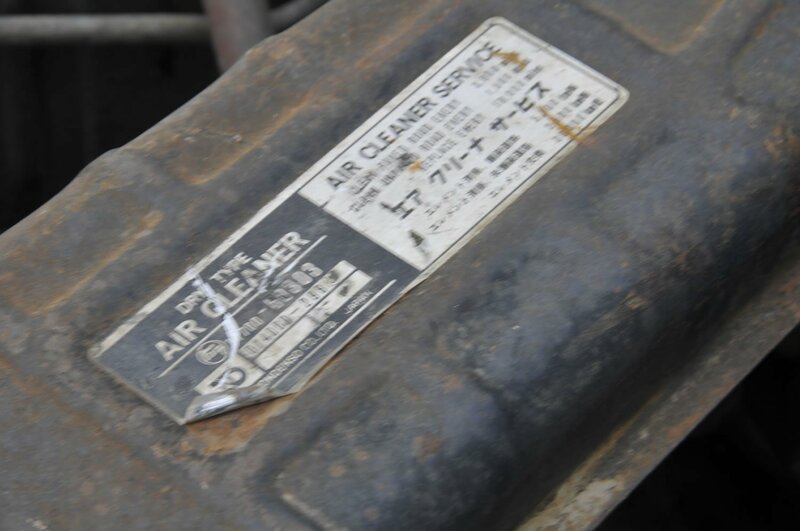 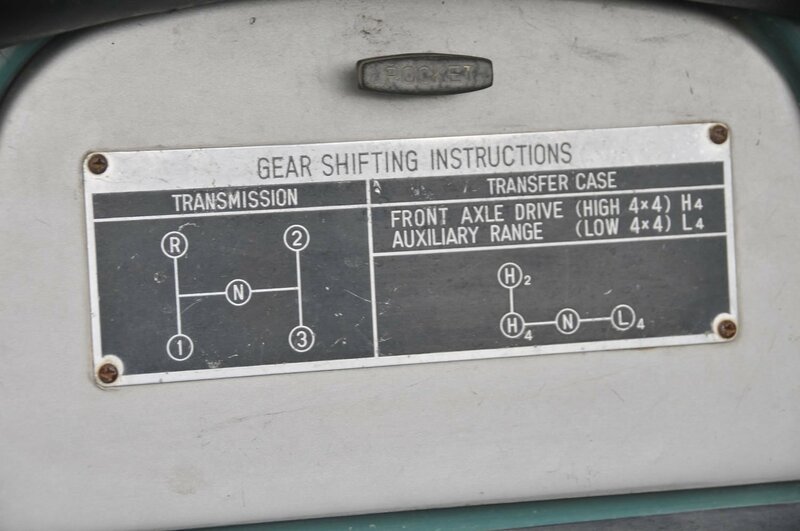 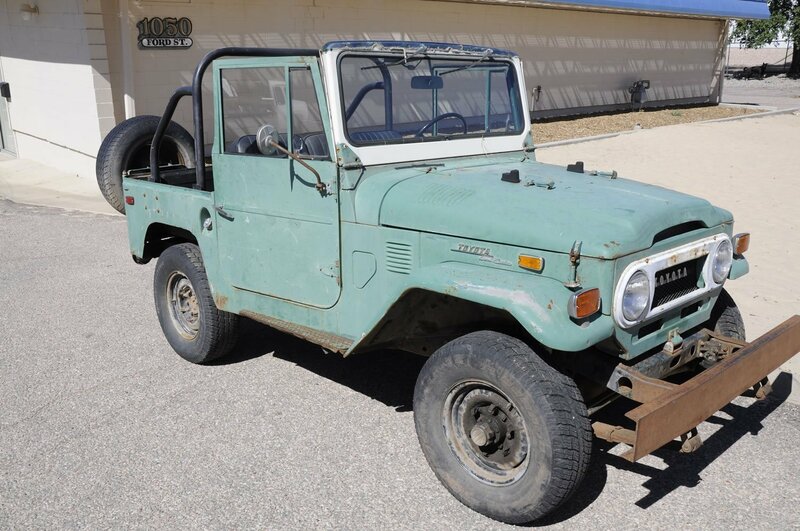 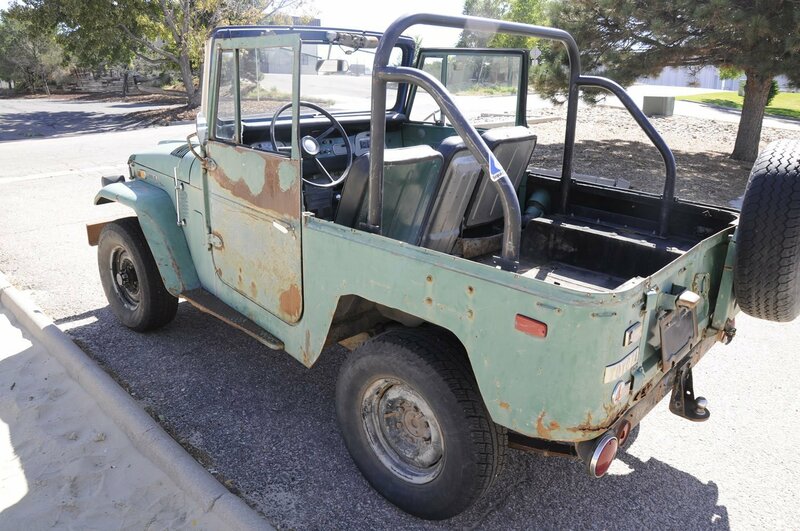 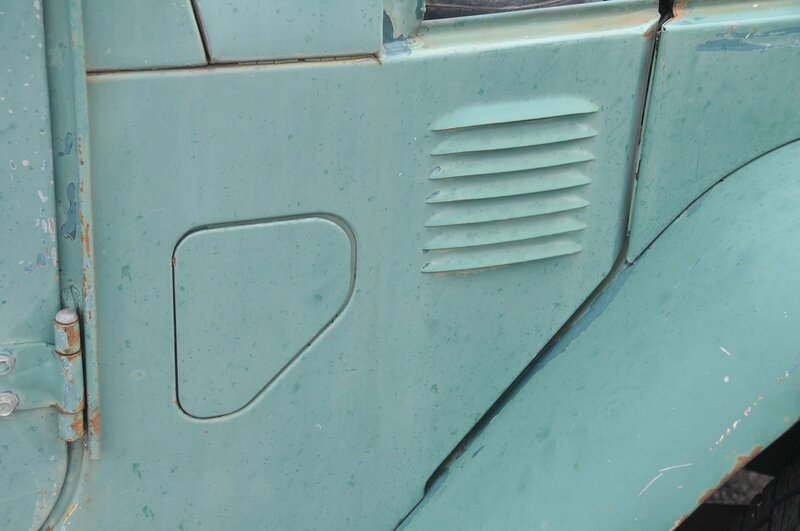 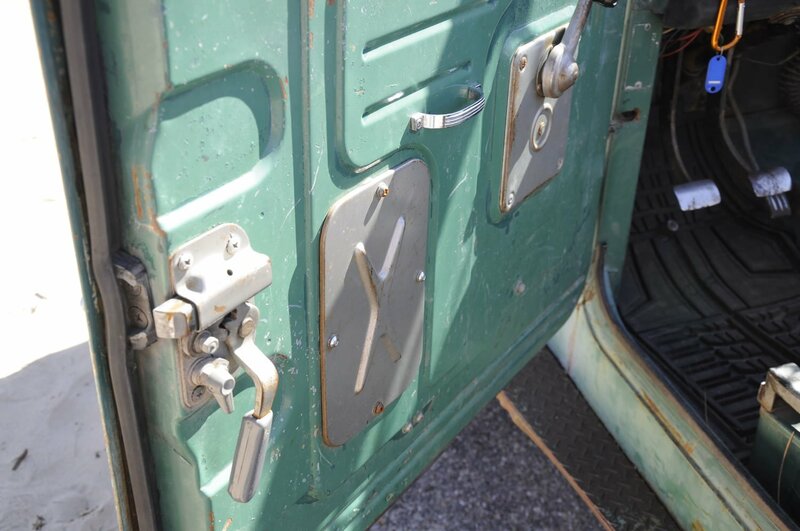 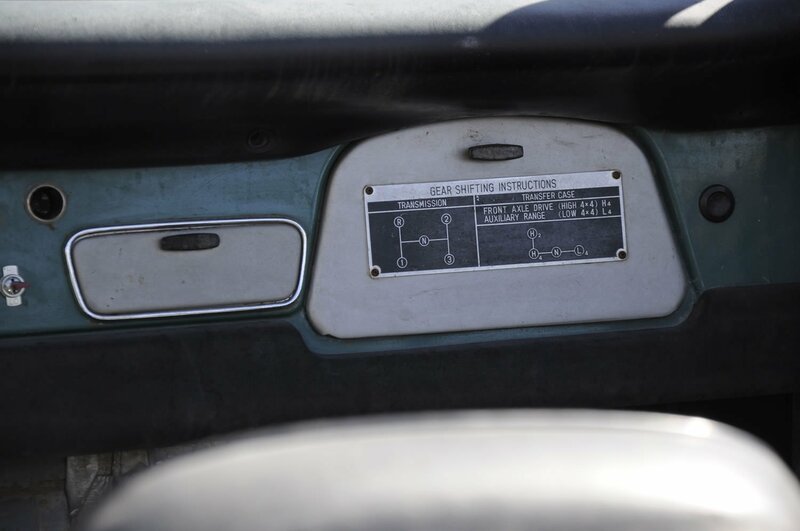 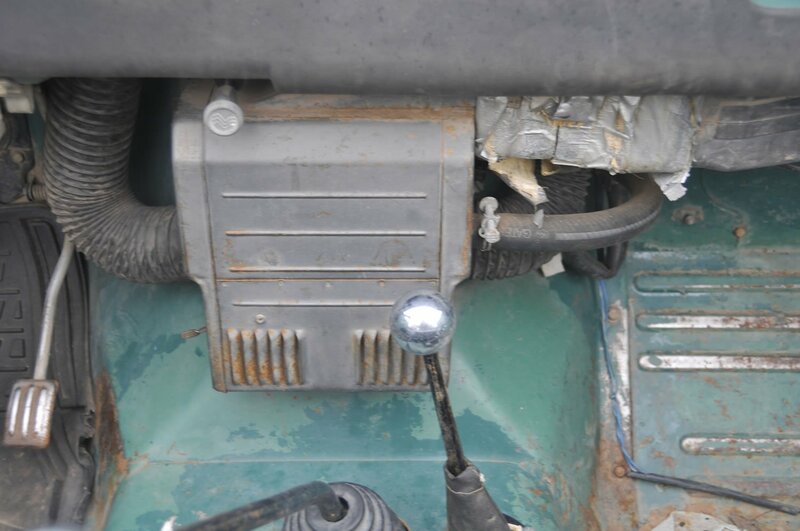 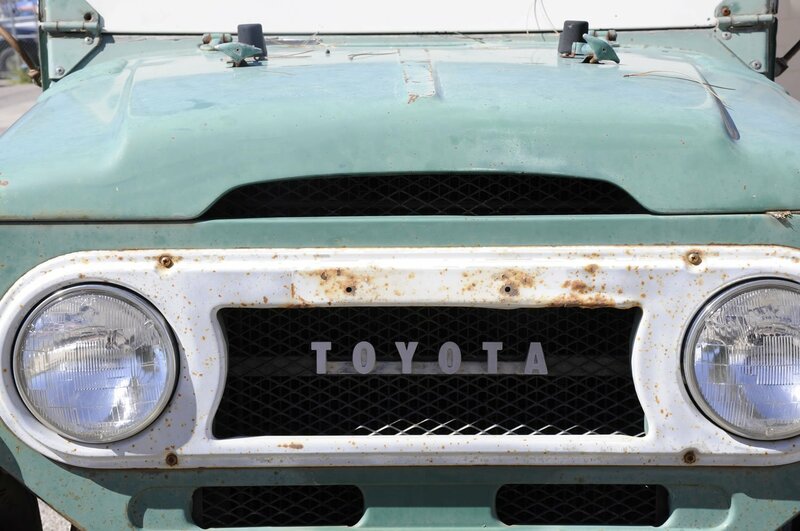 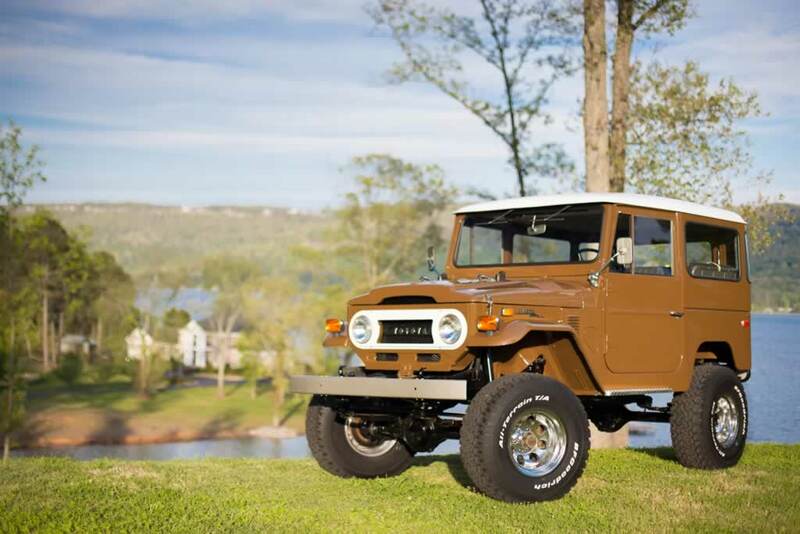 Original 1972 FJ40 – Purchase As-Is or Have Red Line Restore! 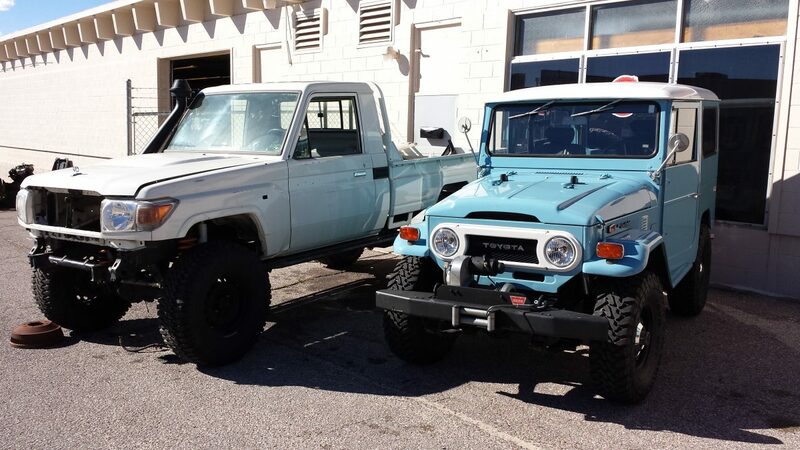 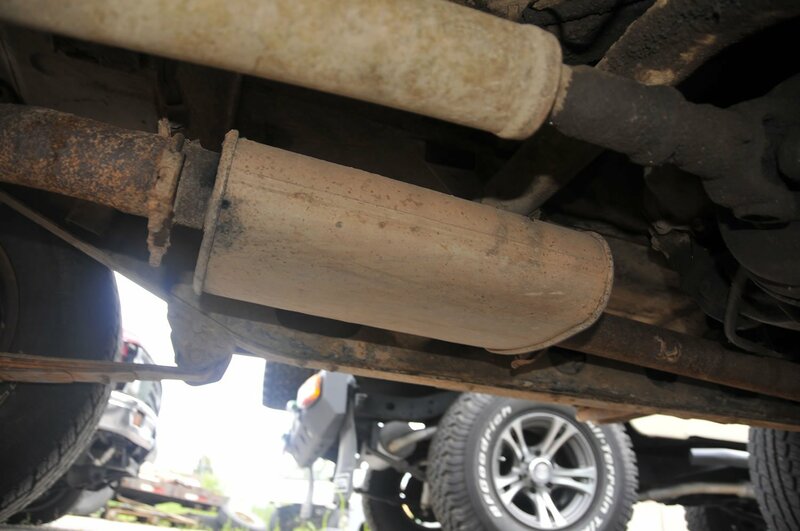 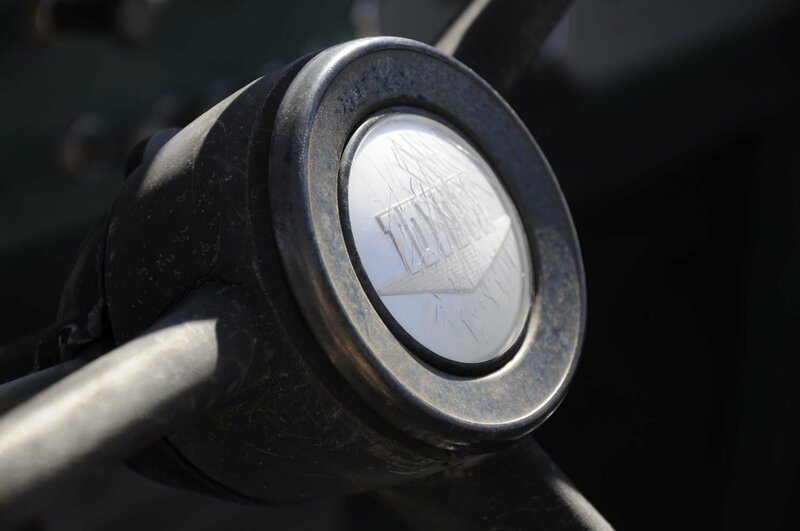 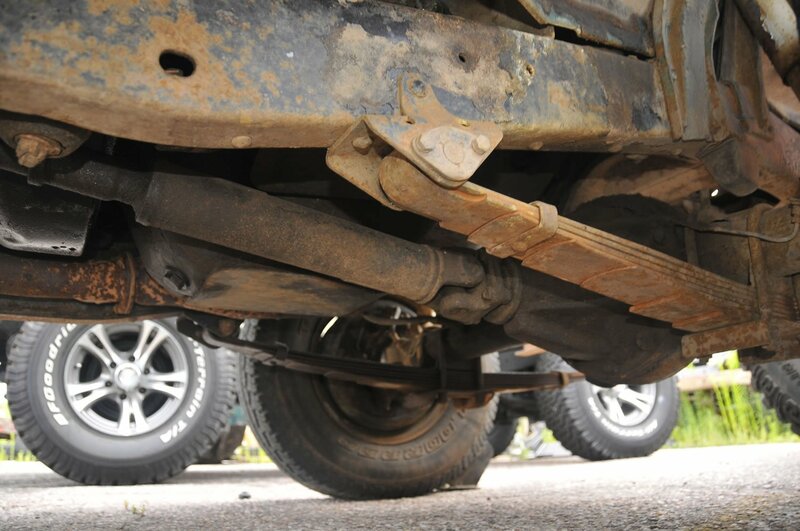 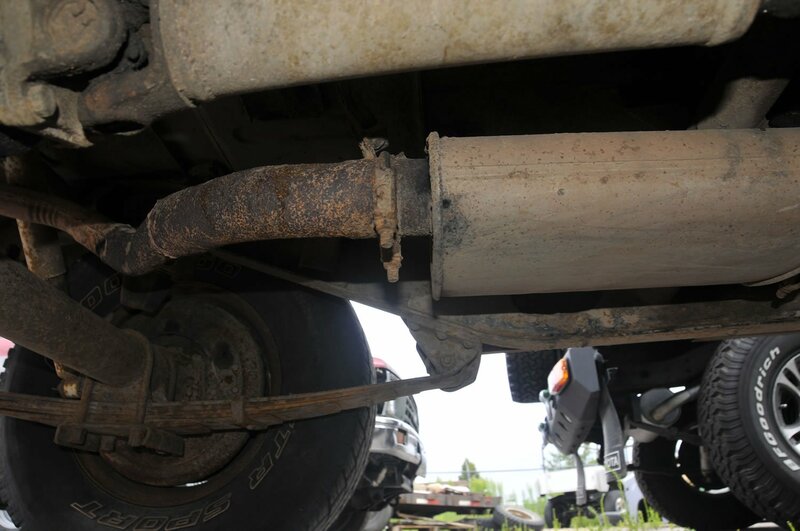 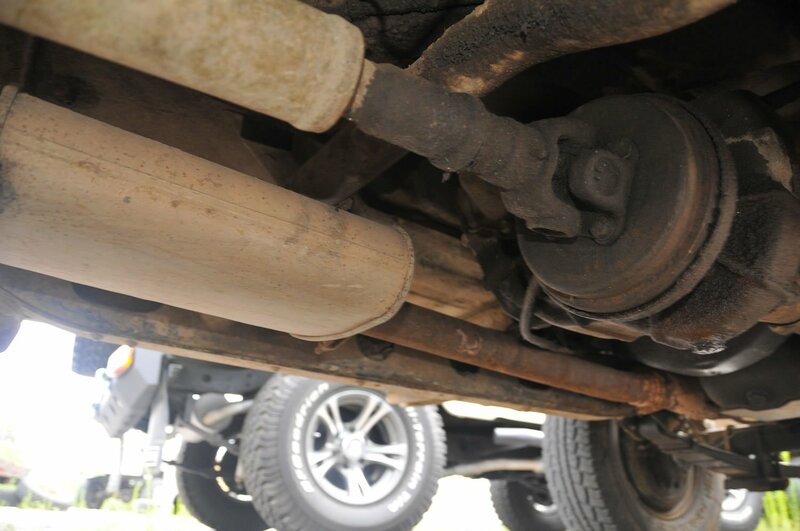 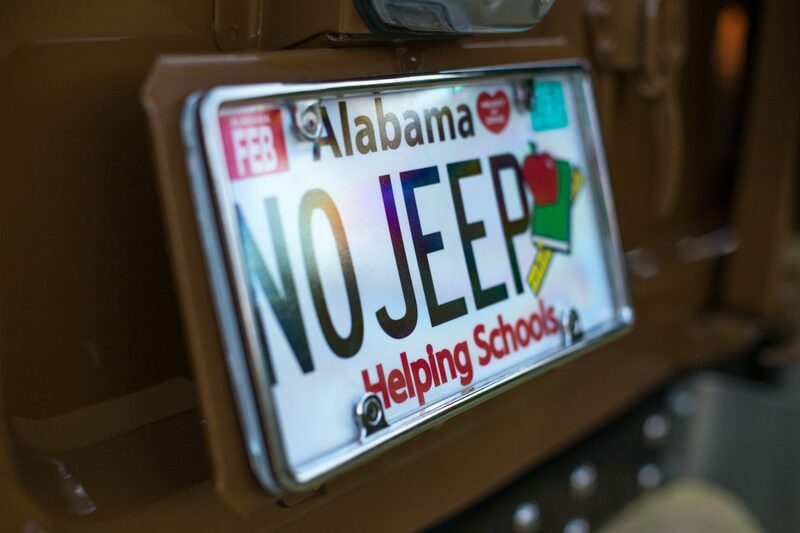 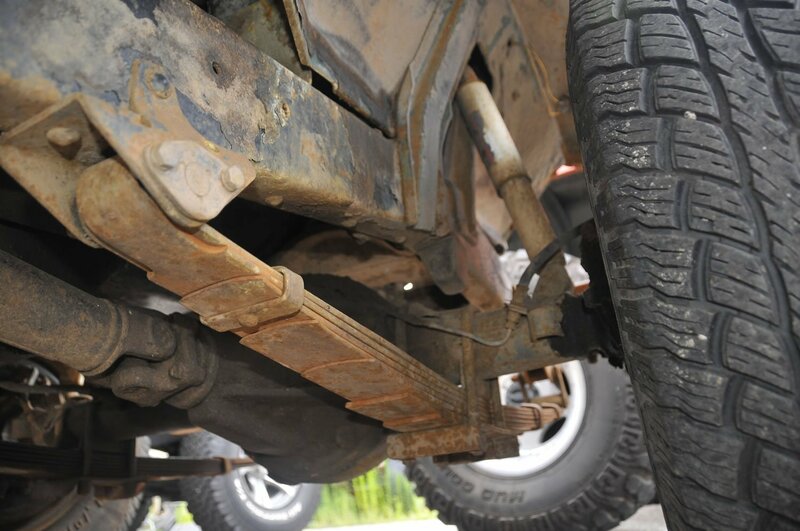 List your FJ on the Red Line Land Cruisers Classifieds for Free! 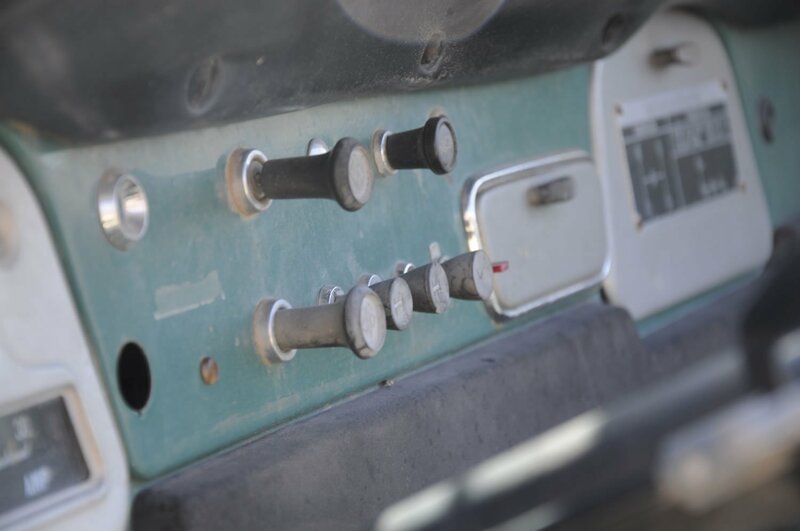 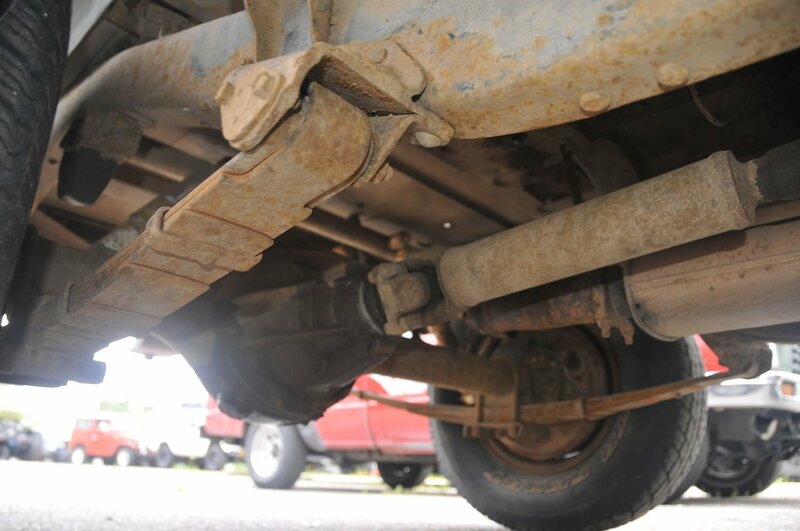 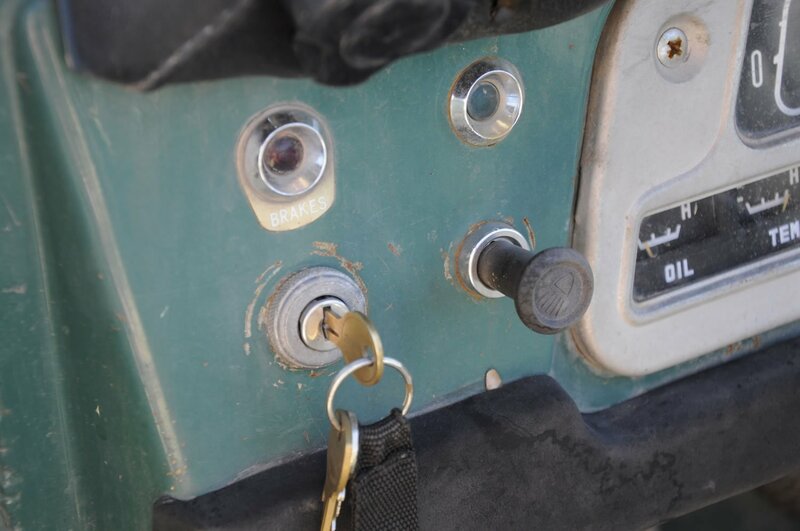 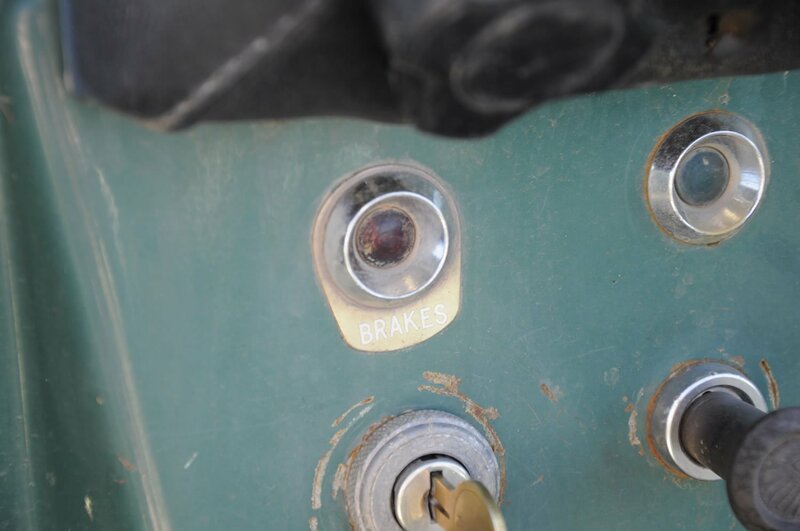 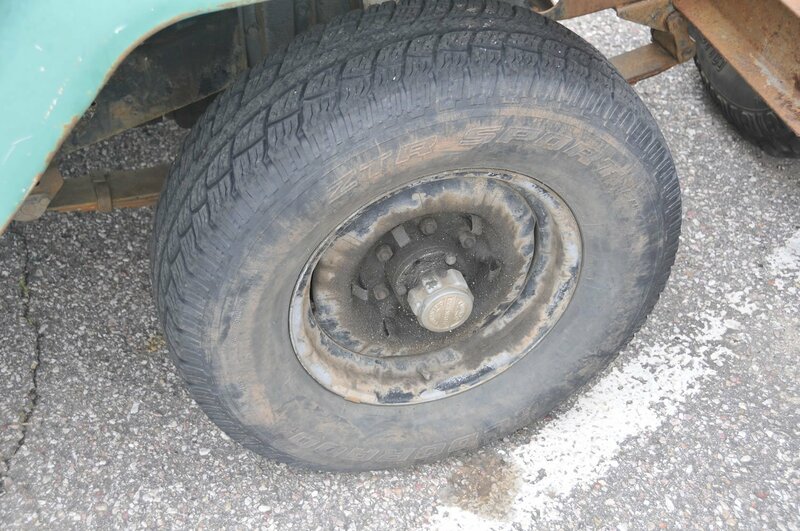 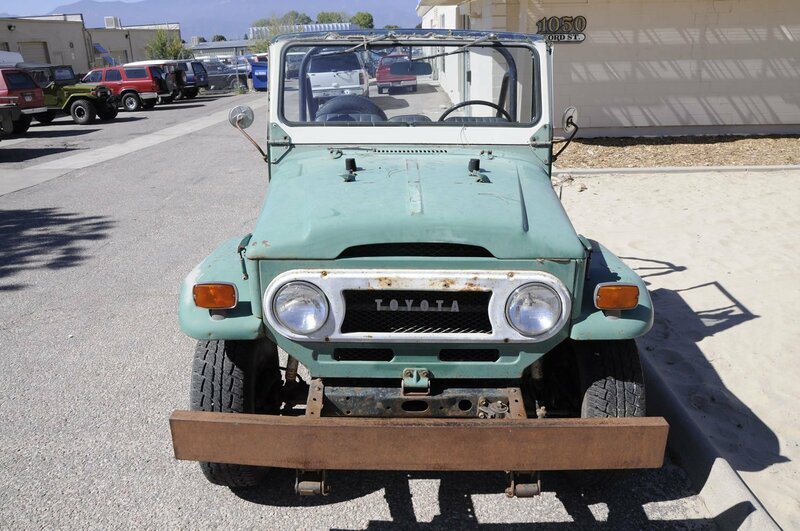 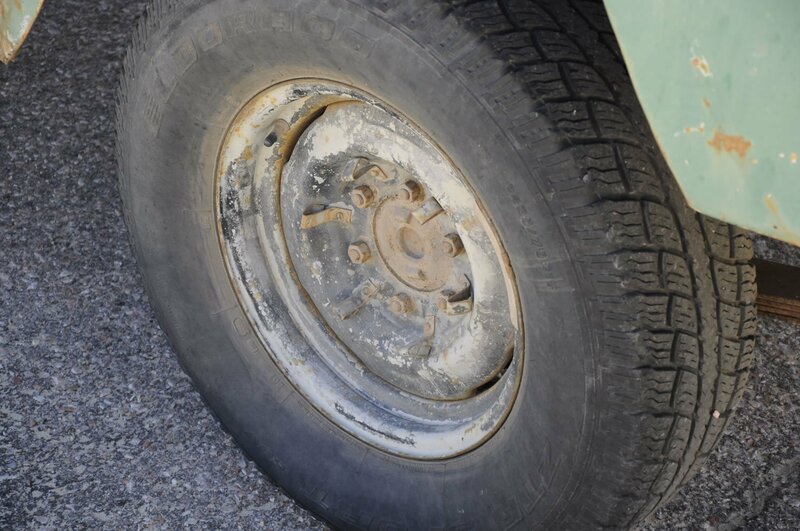 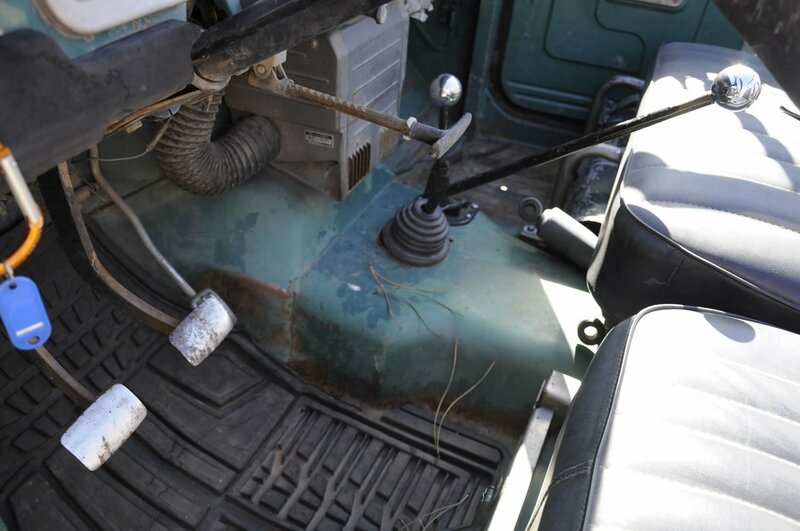 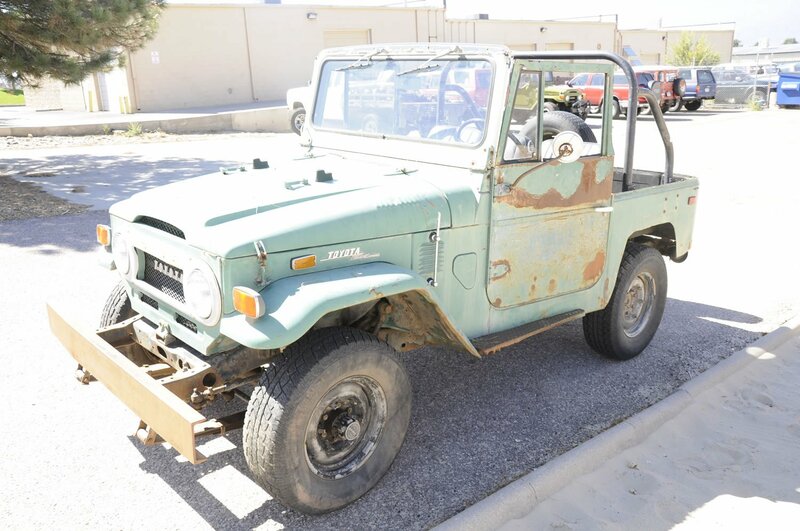 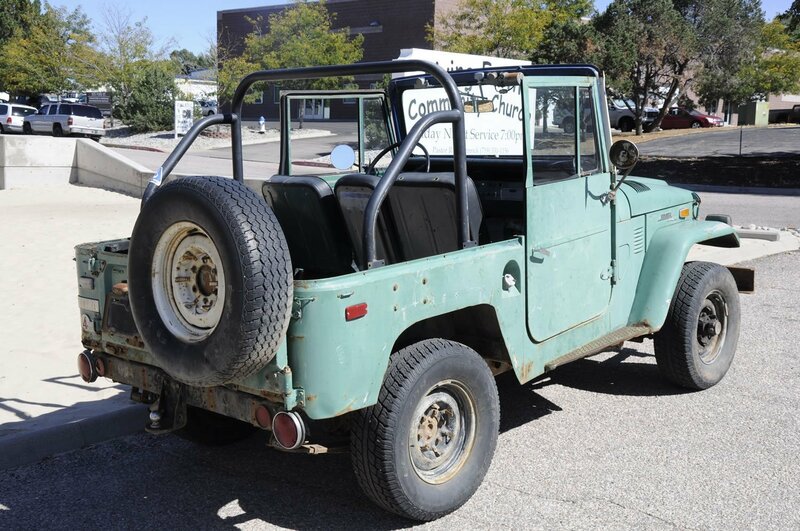 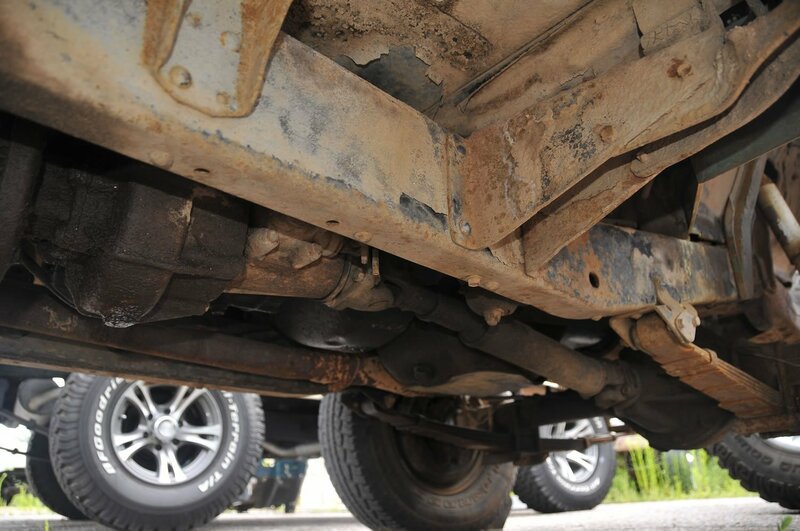 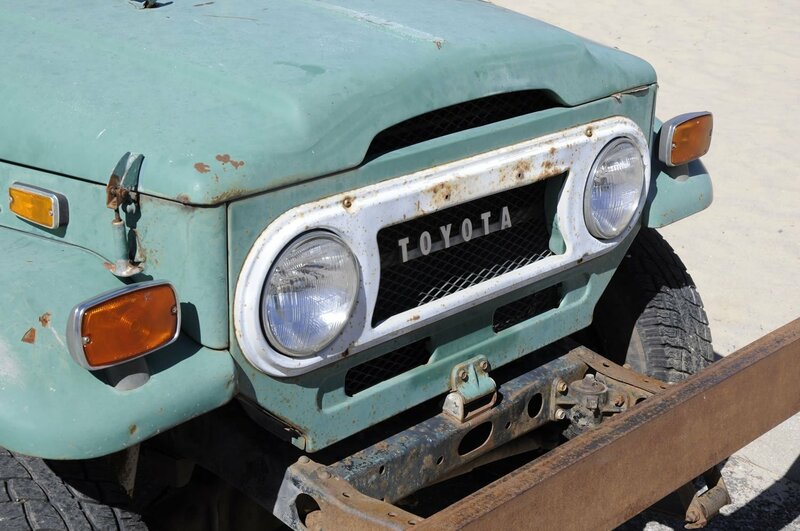 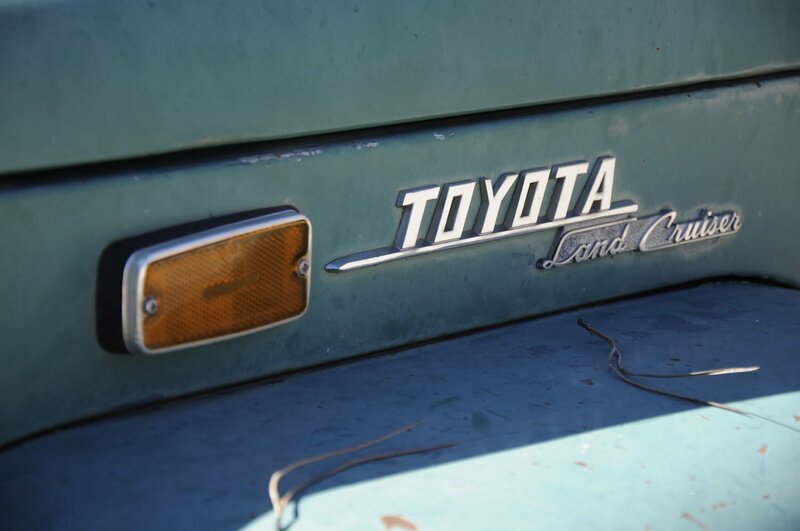 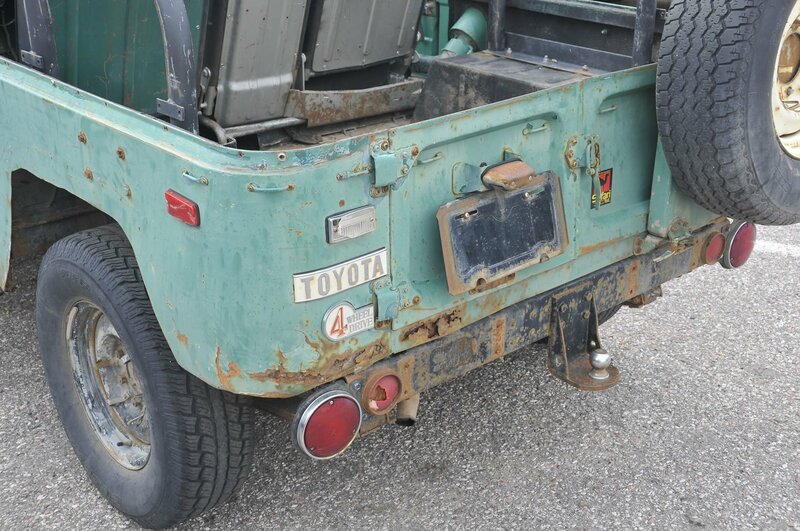 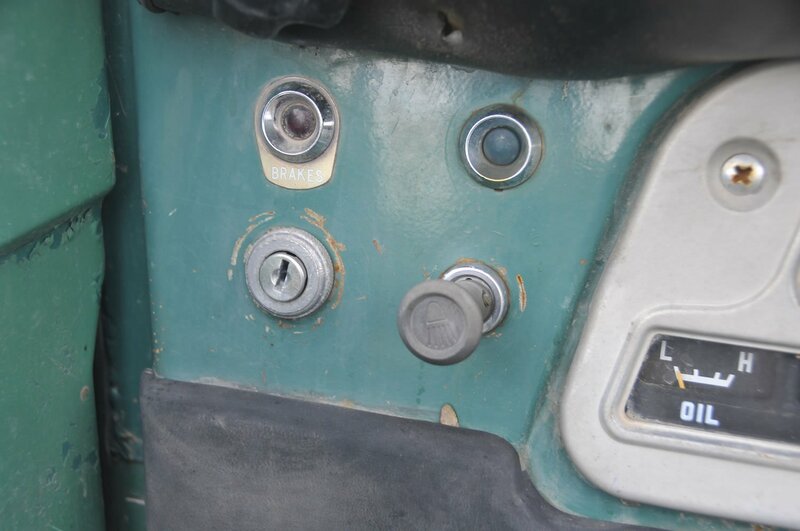 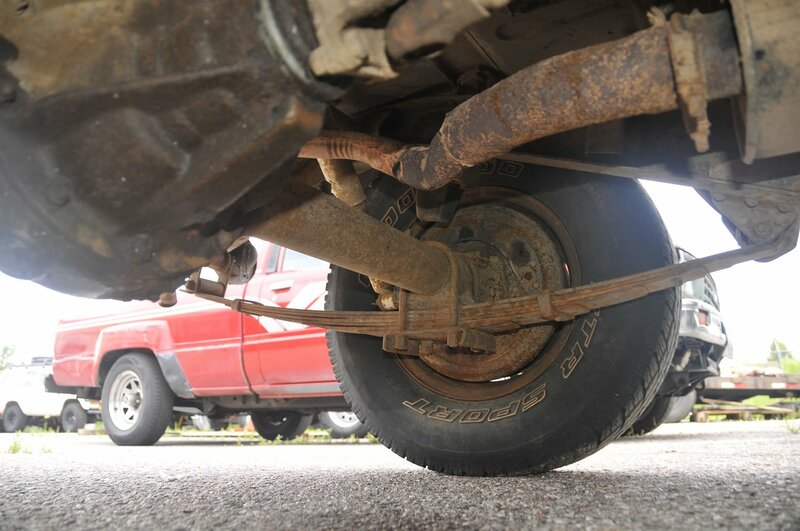 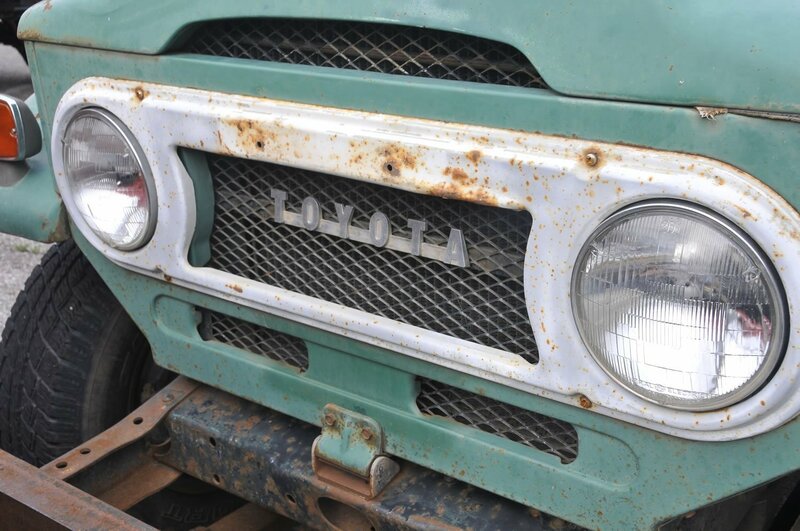 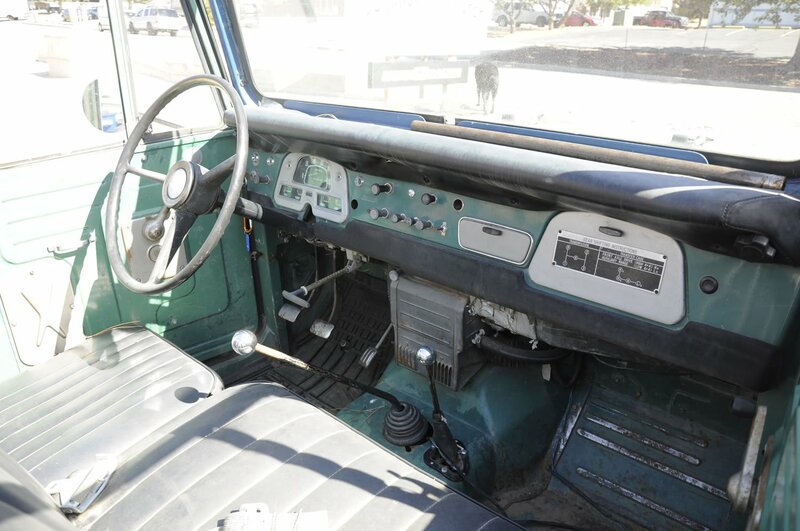 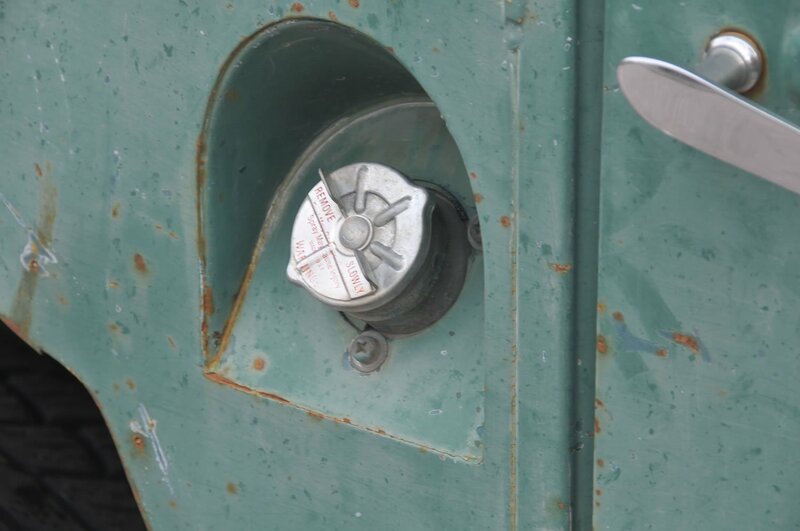 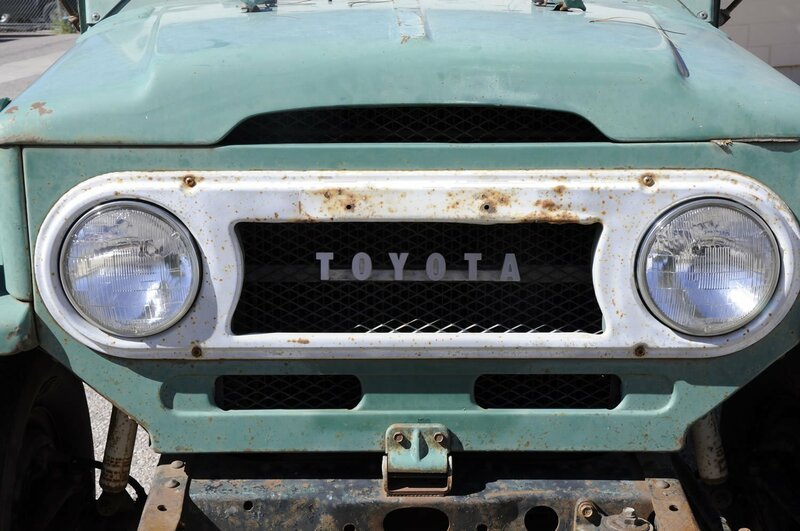 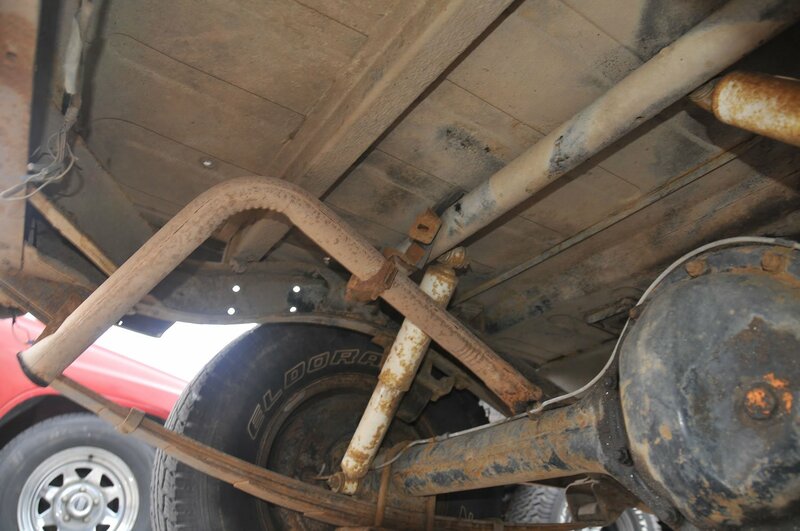 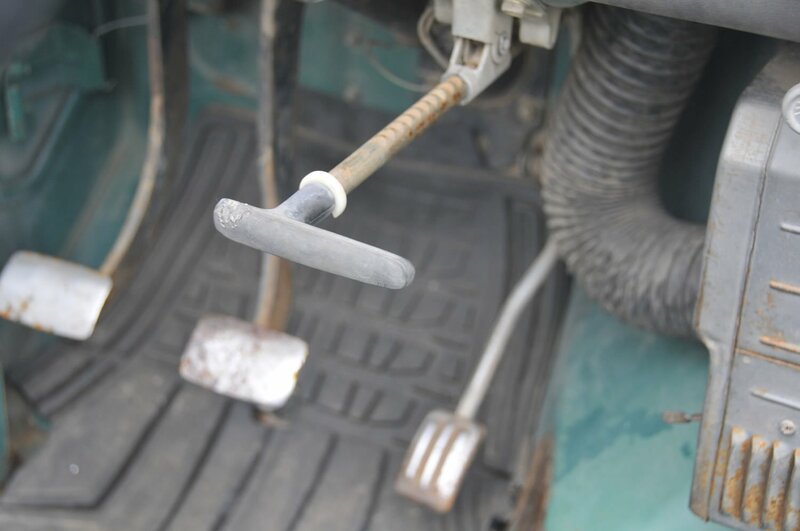 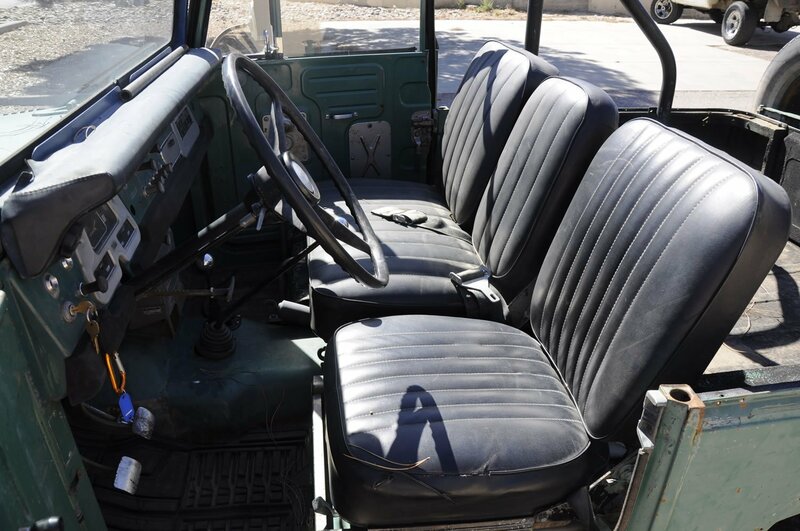 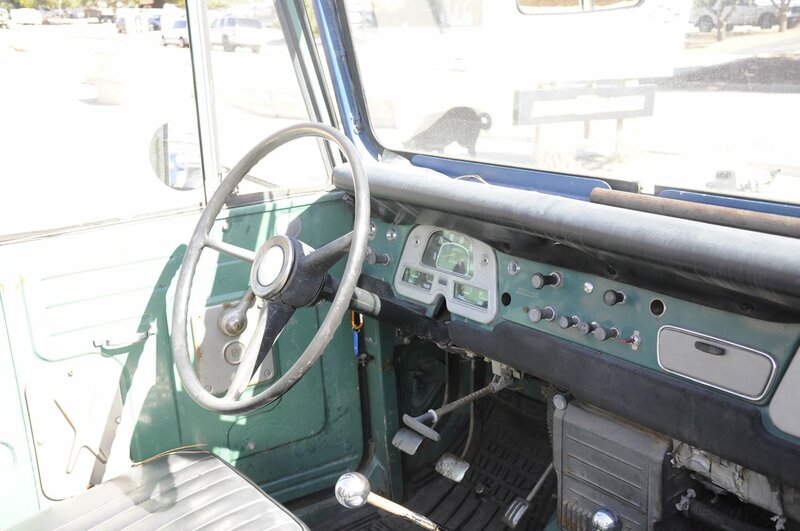 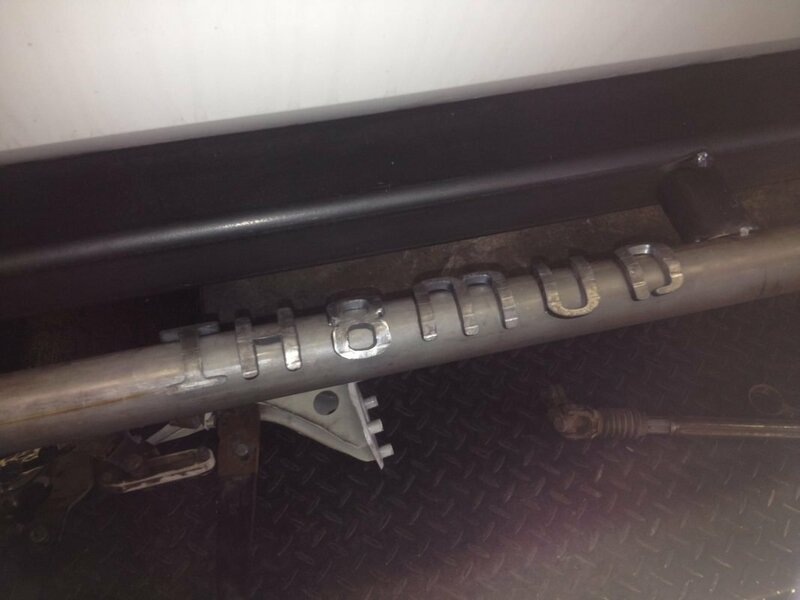 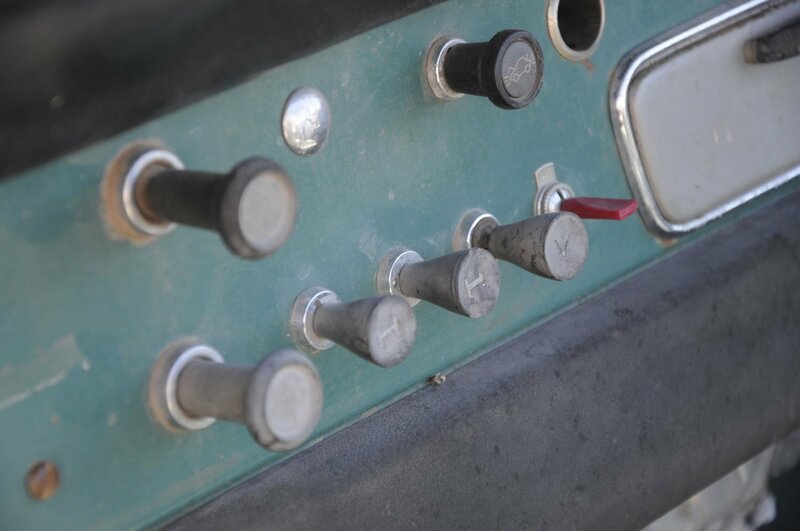 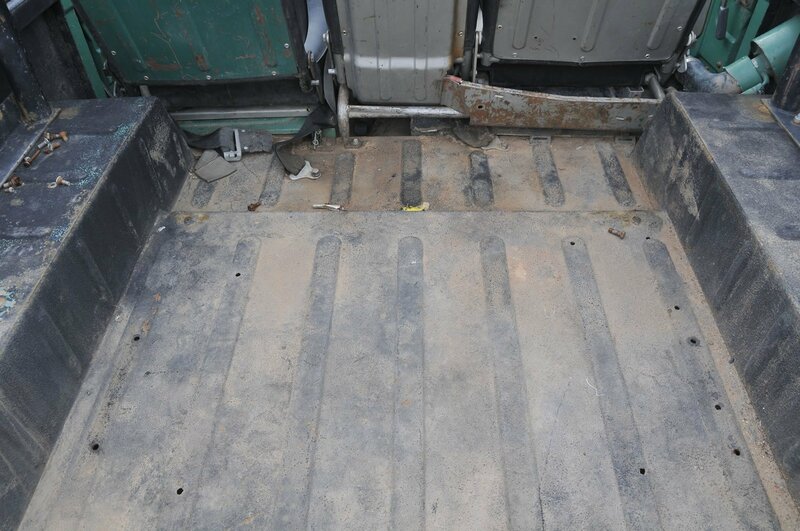 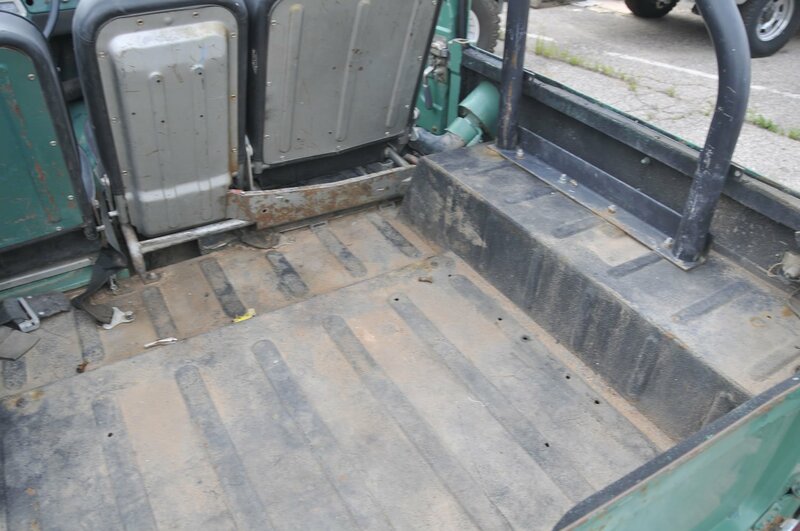 This Land Cruiser was sold through the Red Line classifieds listing. 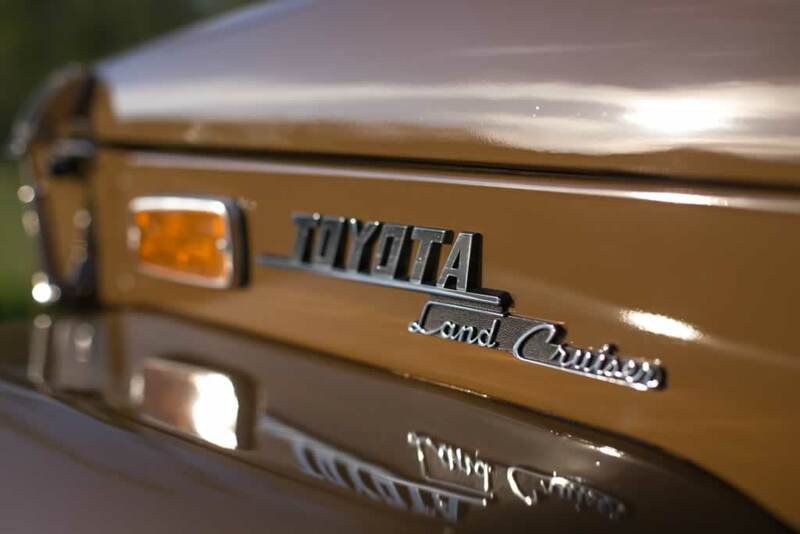 To list your Land Cruiser for free on Red Line, fill out the form here. 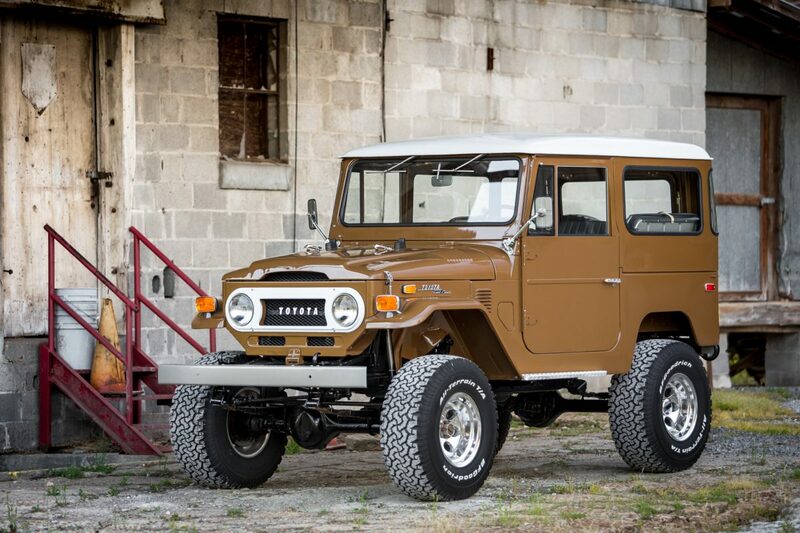 This FJ40 has just undergone an extensive 3+ year total restoration which has been restored to better than new factory correct condition! 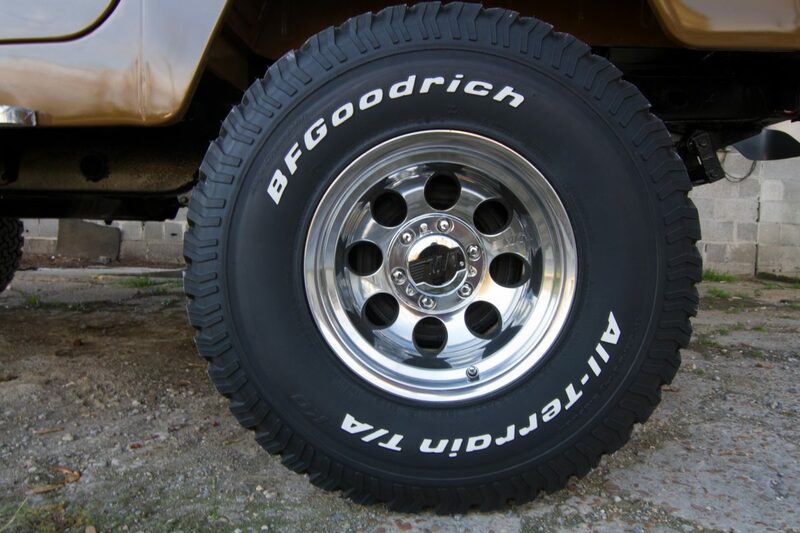 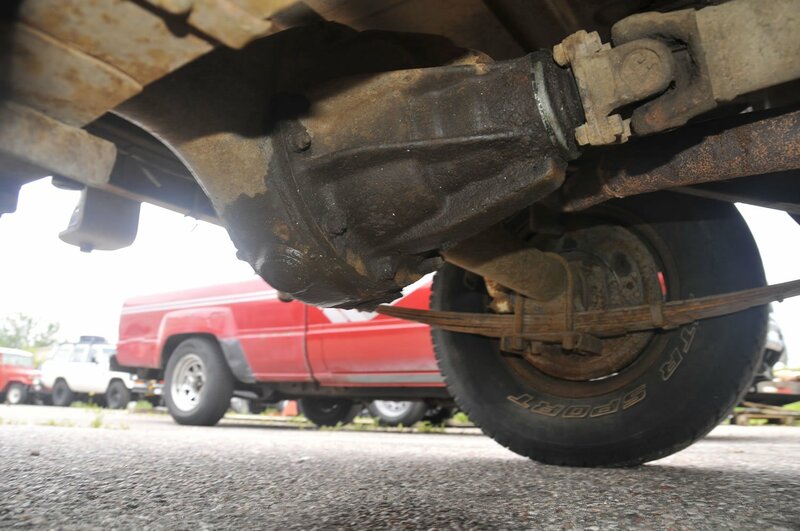 The only modifications are the diamond plated aluminum running boards, the new Mickey Thompson Callic 2 wheels, BF Goodrich 33-12.50 KO all terrain tires and everything is factory correct and original all the way down to the emissions control sticker under the hood. 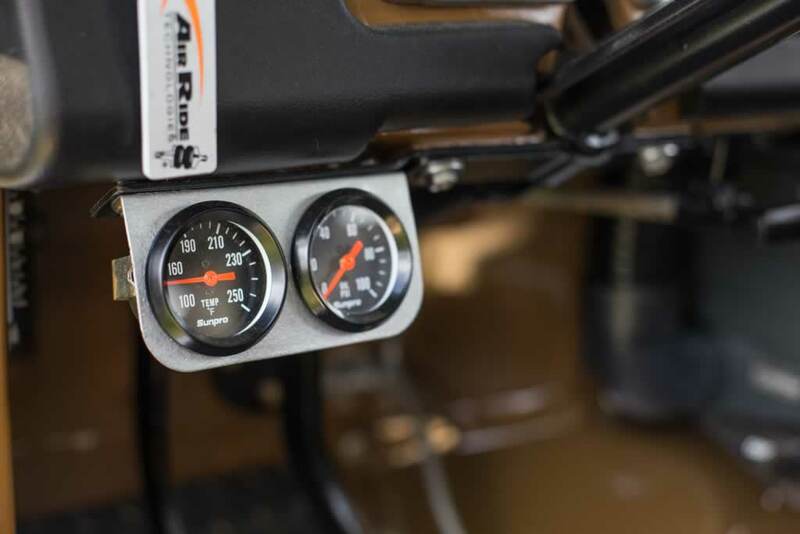 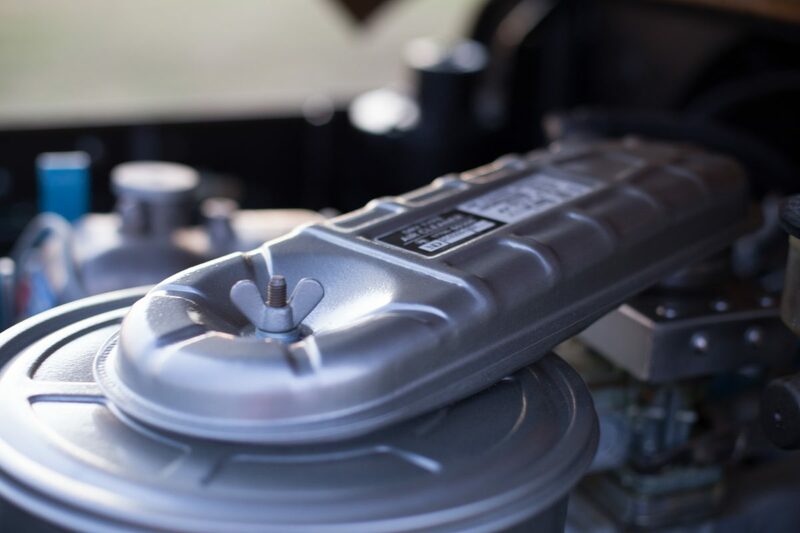 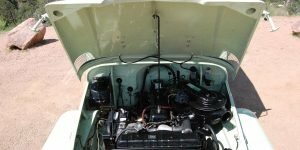 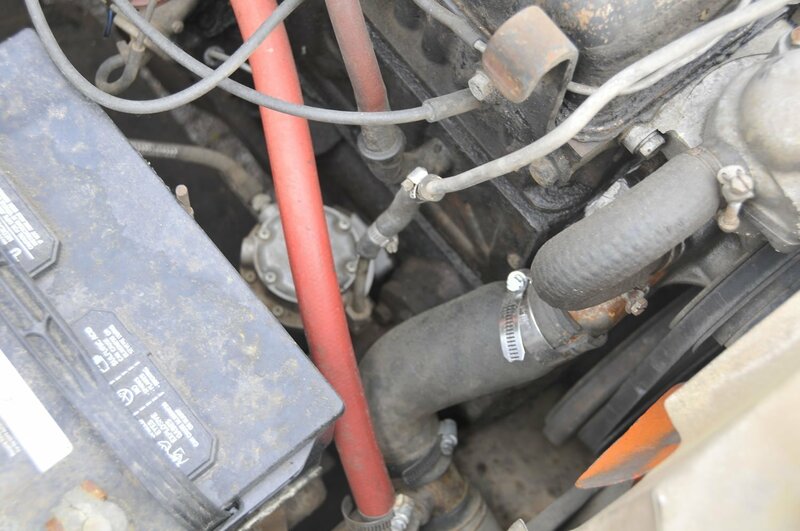 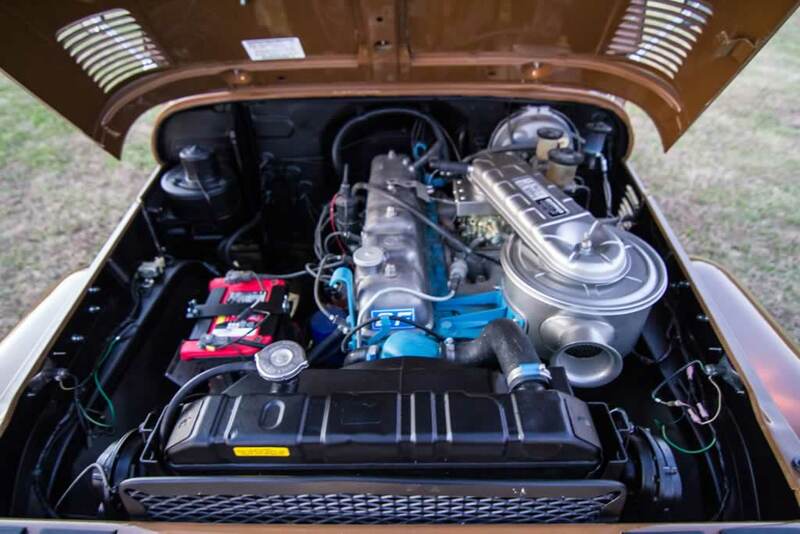 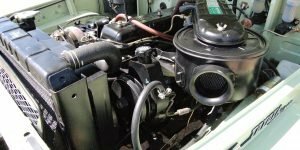 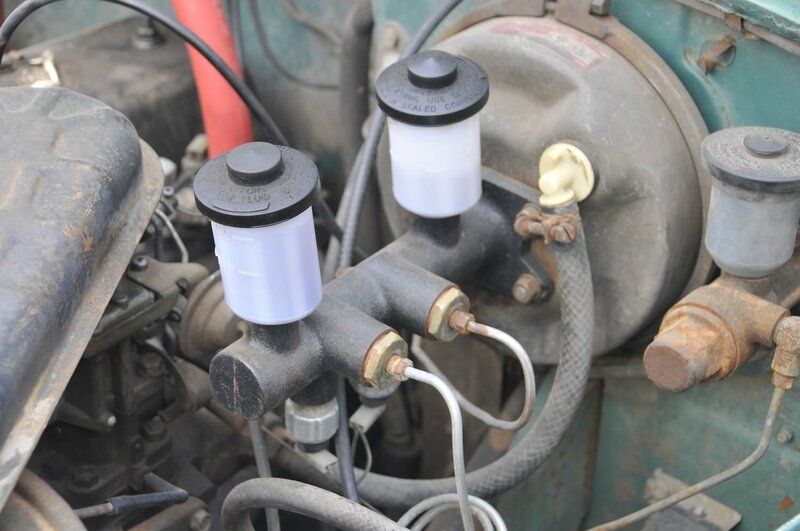 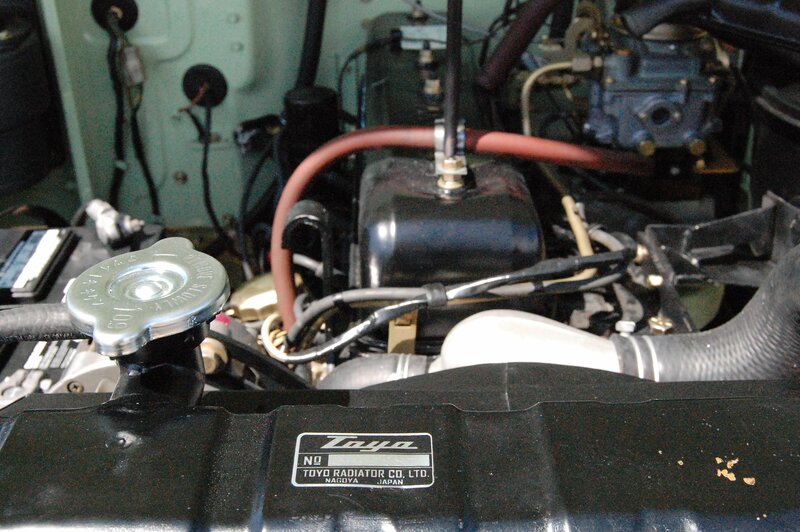 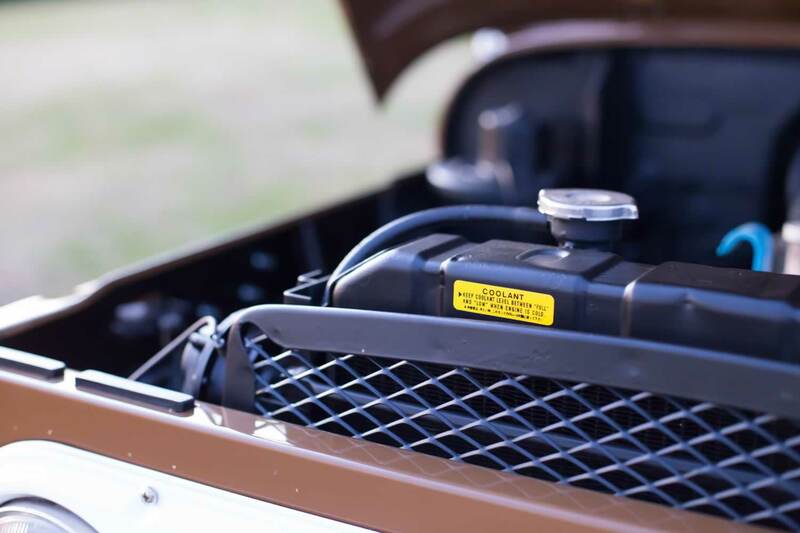 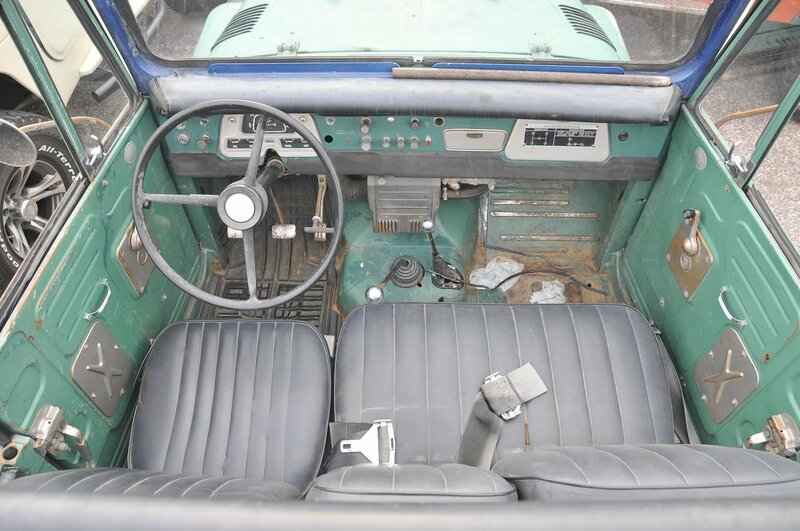 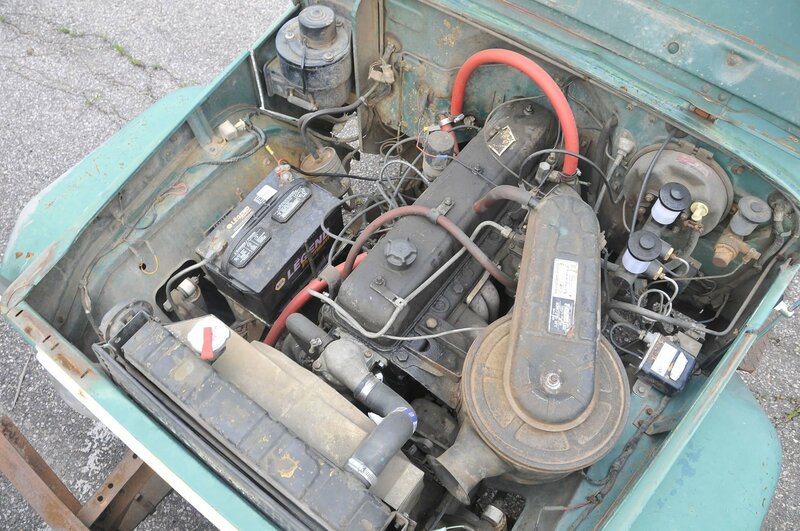 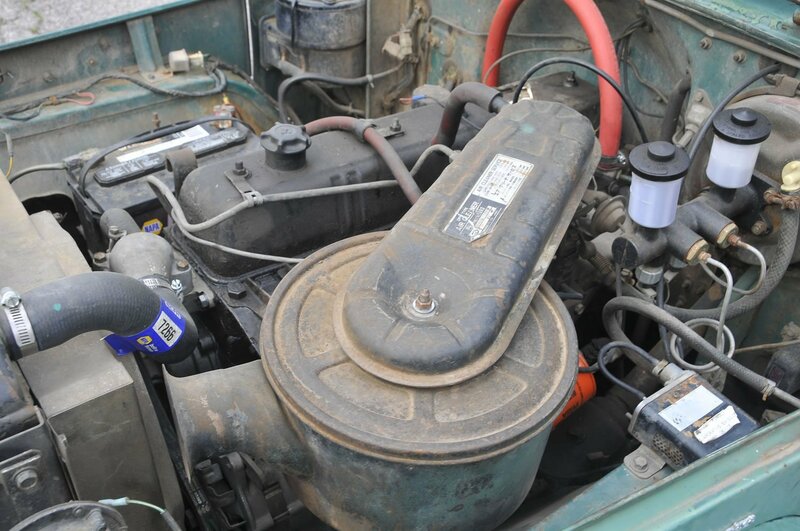 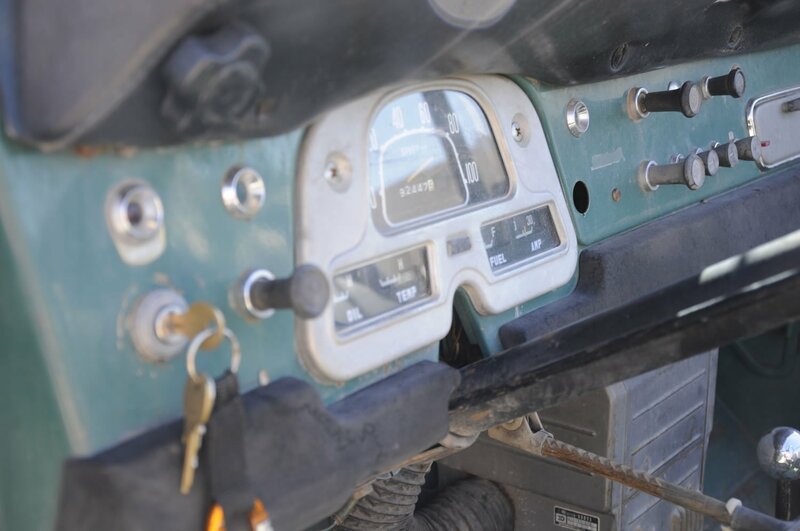 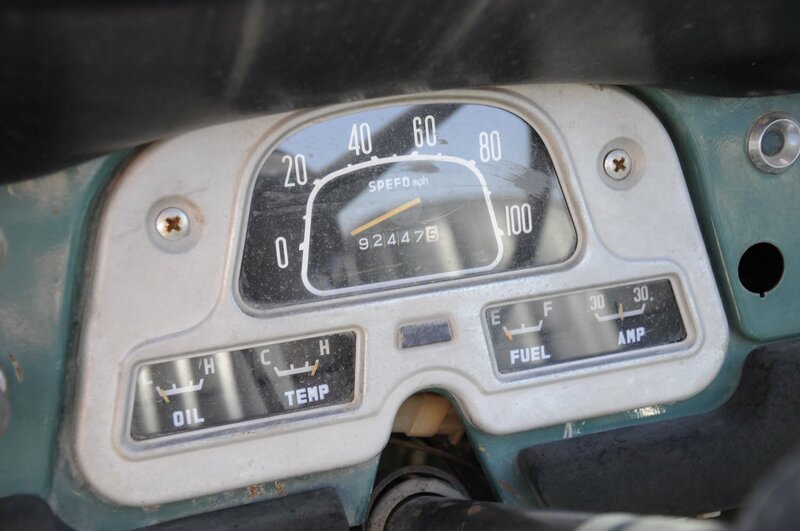 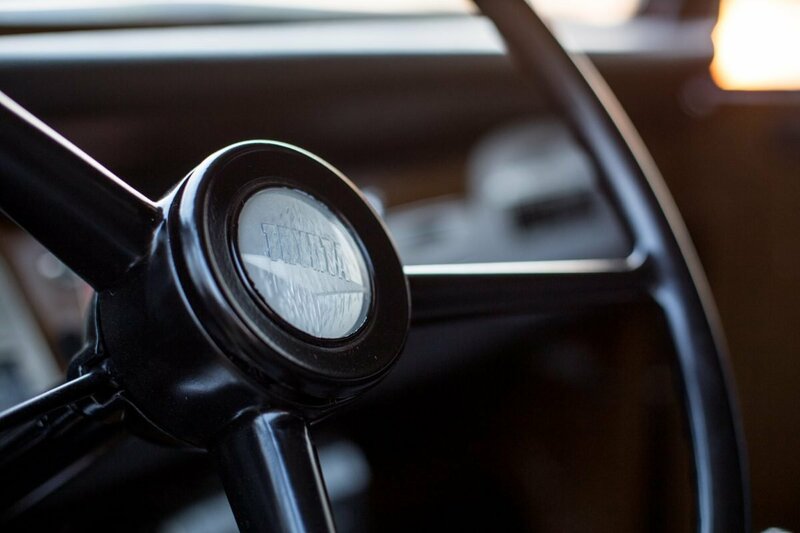 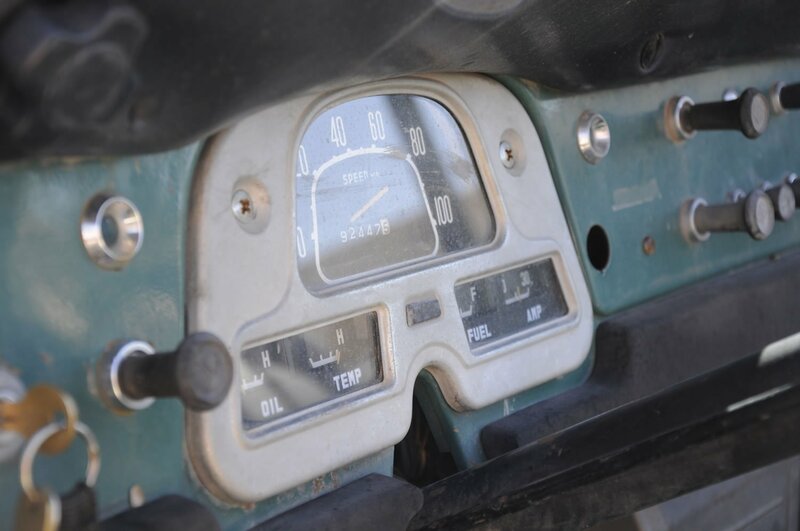 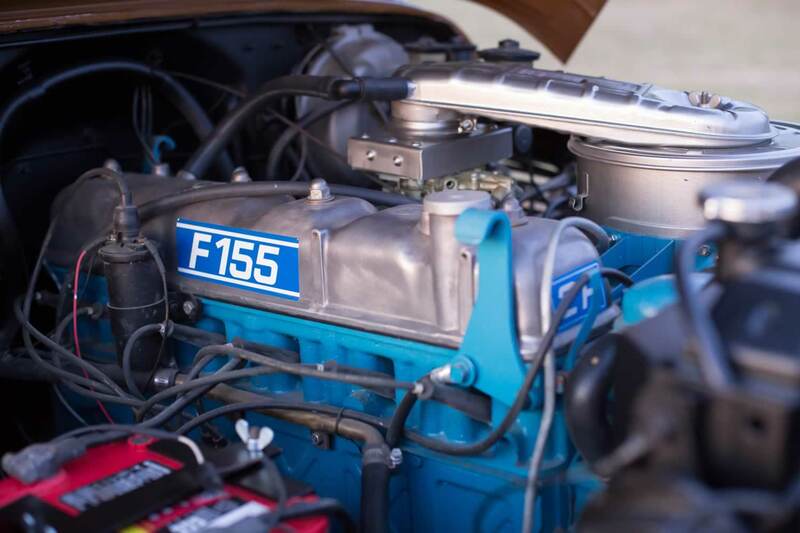 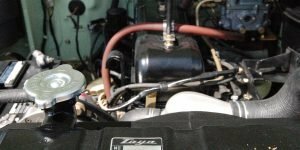 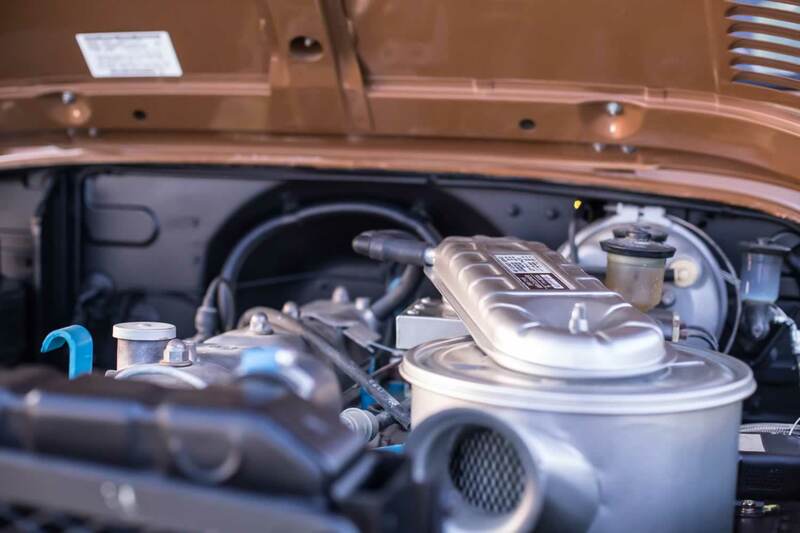 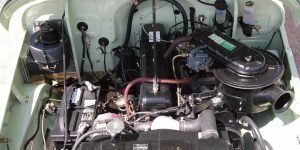 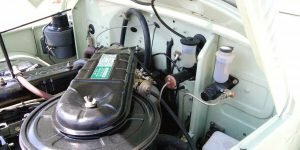 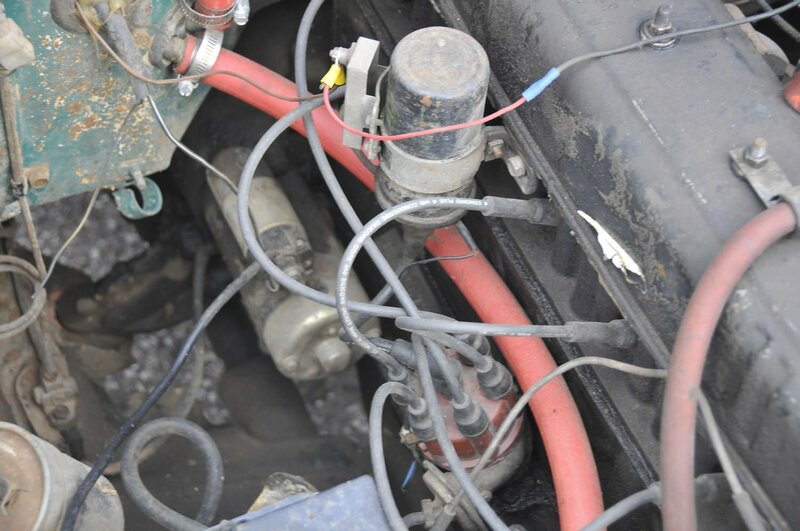 It has been upgraded with a freshly rebuilt 2F engine that runs strong, also has a Weber carb and electronic ignition (for reliability) conversion. 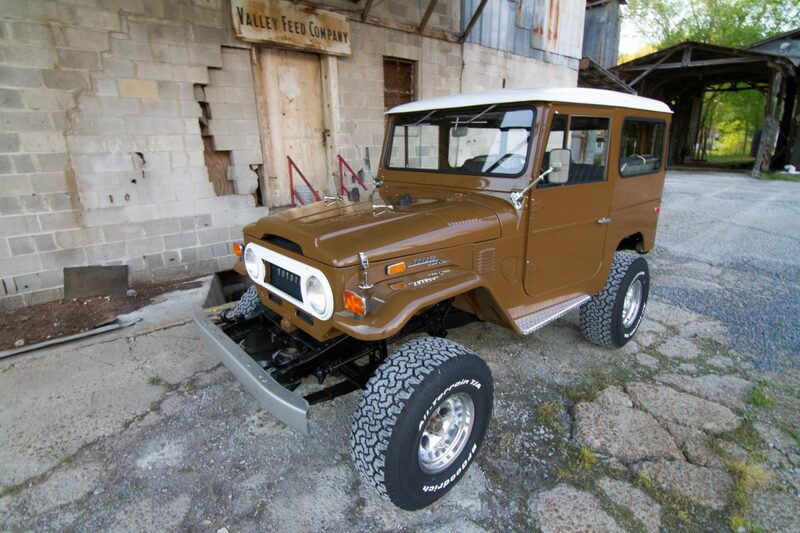 This FJ40 is a 62K mile, locally-owned survivor and is as solid as a new one with absolutely no rust or body damage of any kind when I started this restoration on it and now is just waiting for some to buy it and enjoy it. 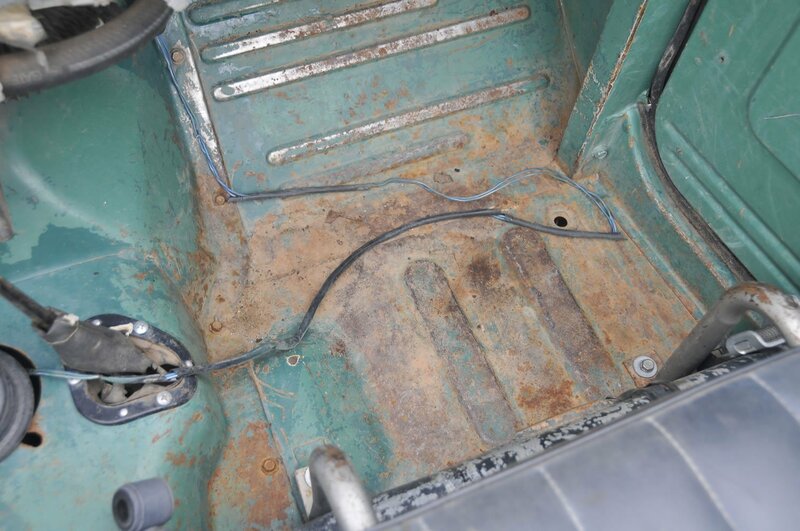 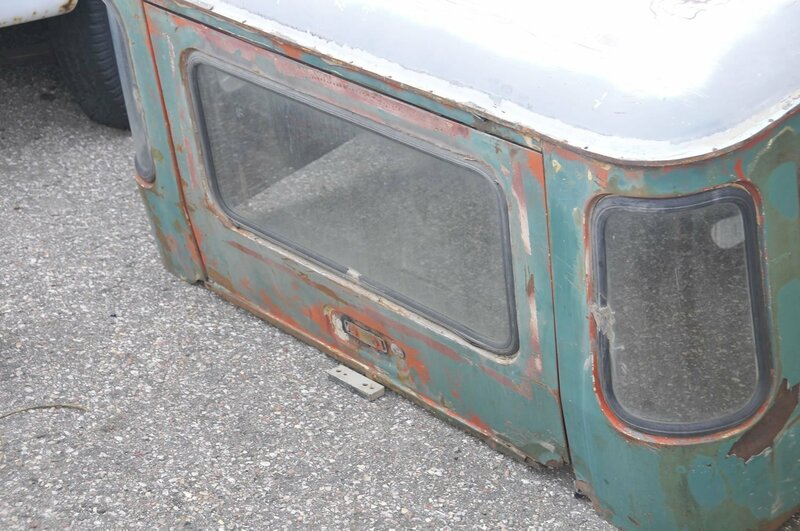 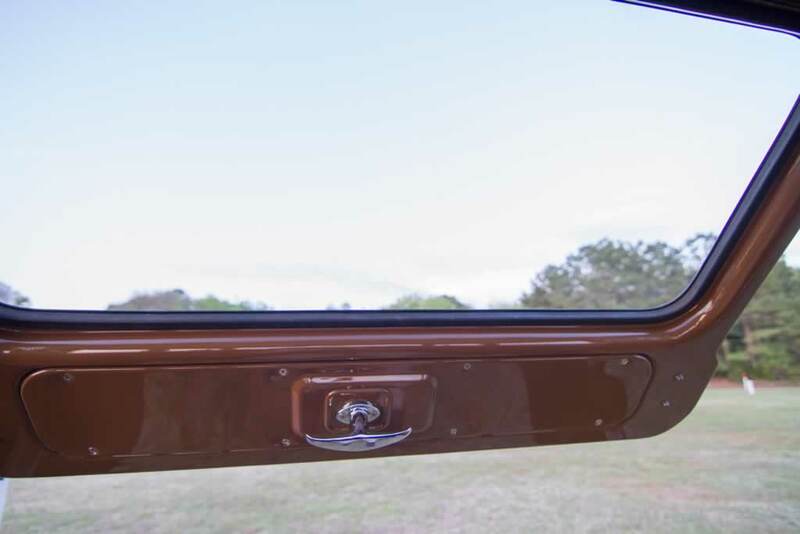 It has all new weatherstripping throughout, and with the exception of the vent windows and hardtop corner windows it also has all new glass which was installed with new rubber seal. 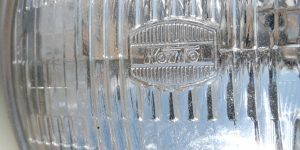 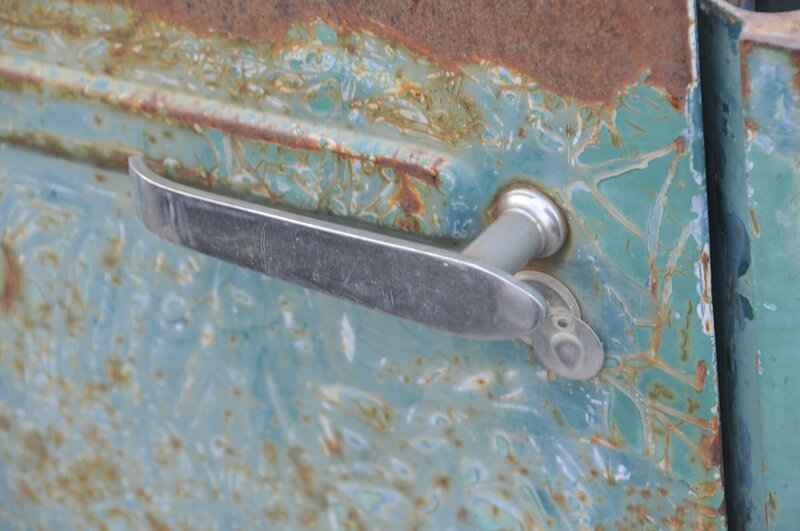 Each piece of chrome was sent out to World renowned Graves Plating in Florence Alabama where it was polished, re-chromed and is all in better than new condition. 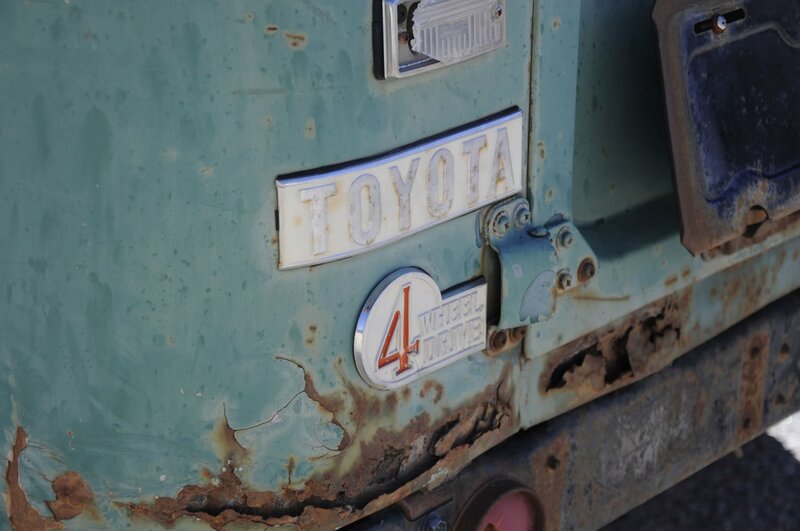 The chrome work is much better than factory original. 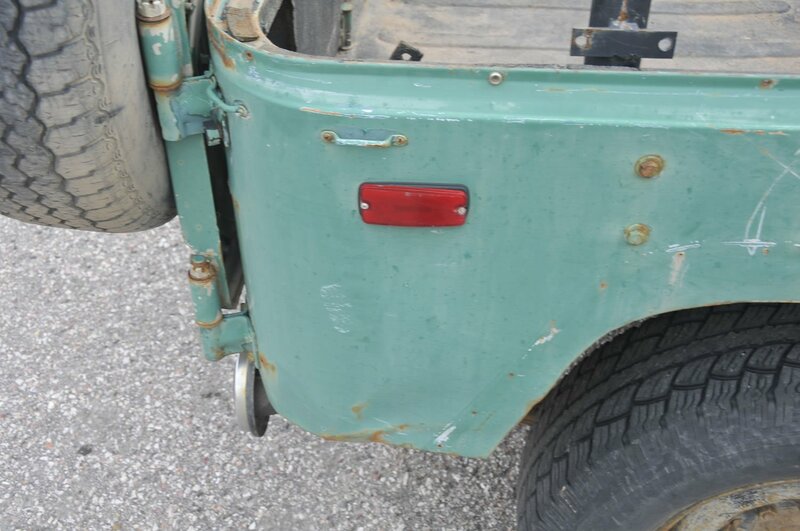 I also installed for safety, a set of factory correct appearing LED tail lights which also have to be seen to be believed. 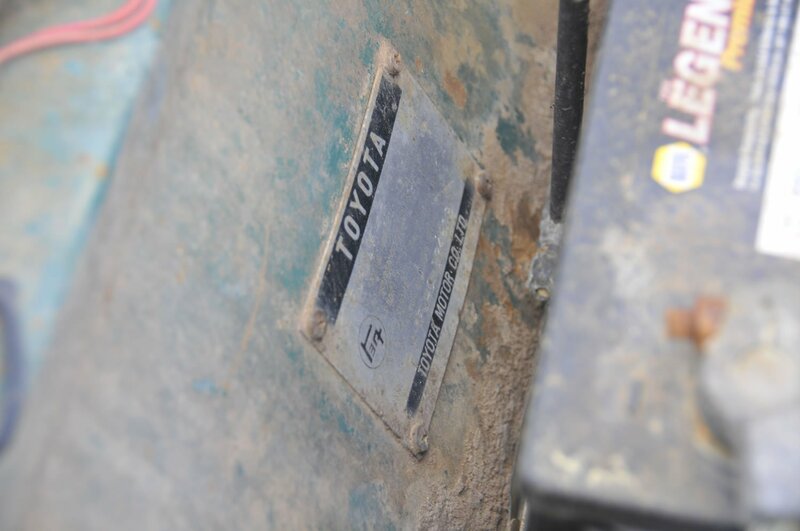 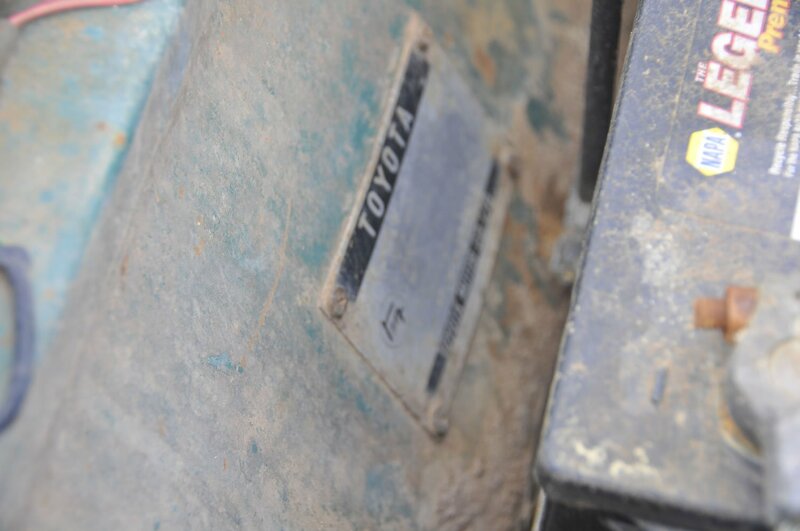 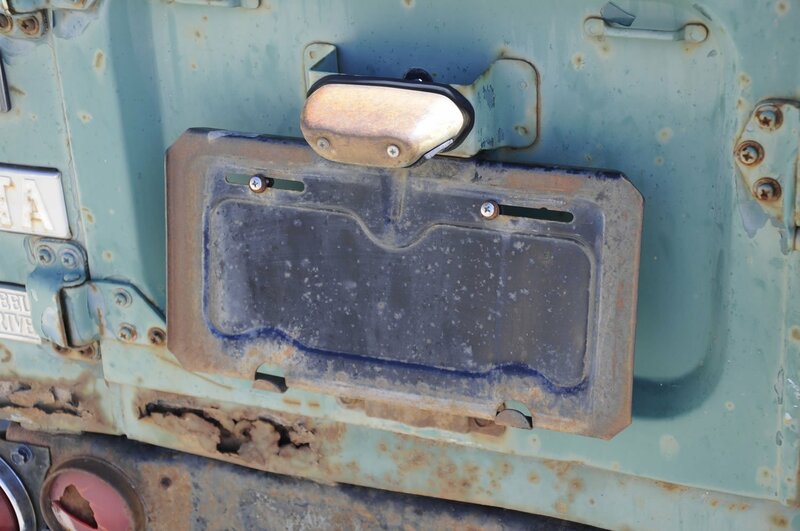 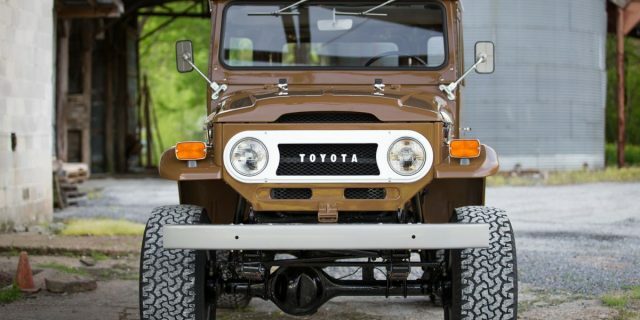 Every piece of trim on the vehicle is perfect and is all factory new Toyota replacement parts and believe it or not this FJ even has the factory original spare. 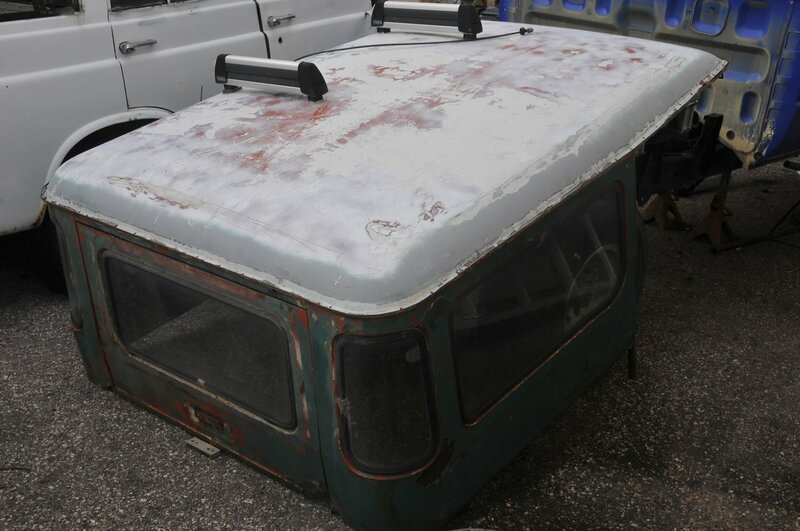 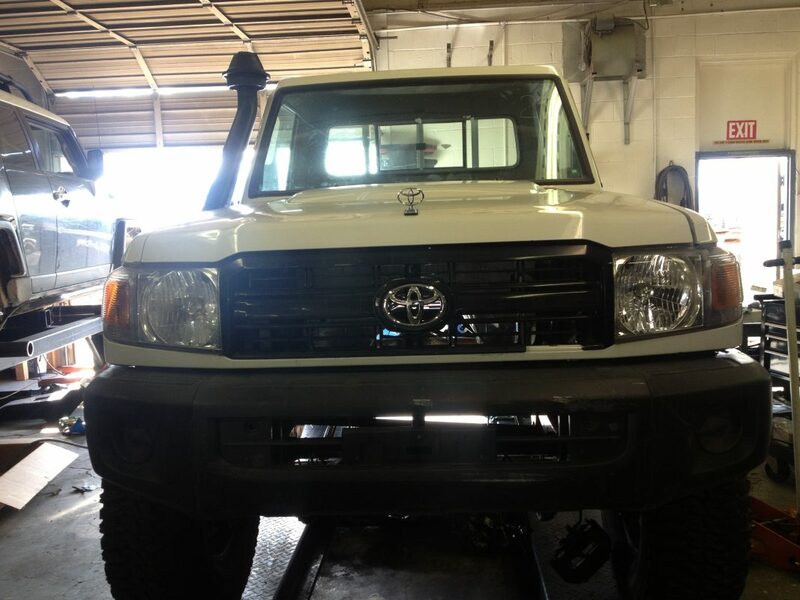 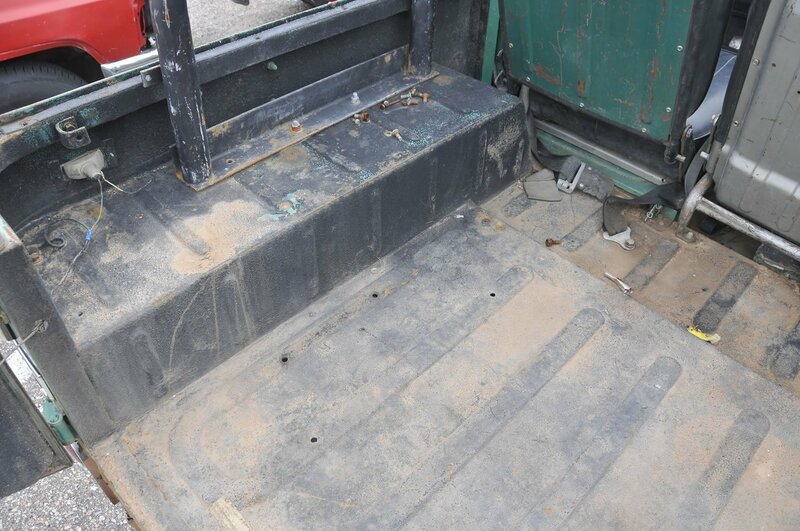 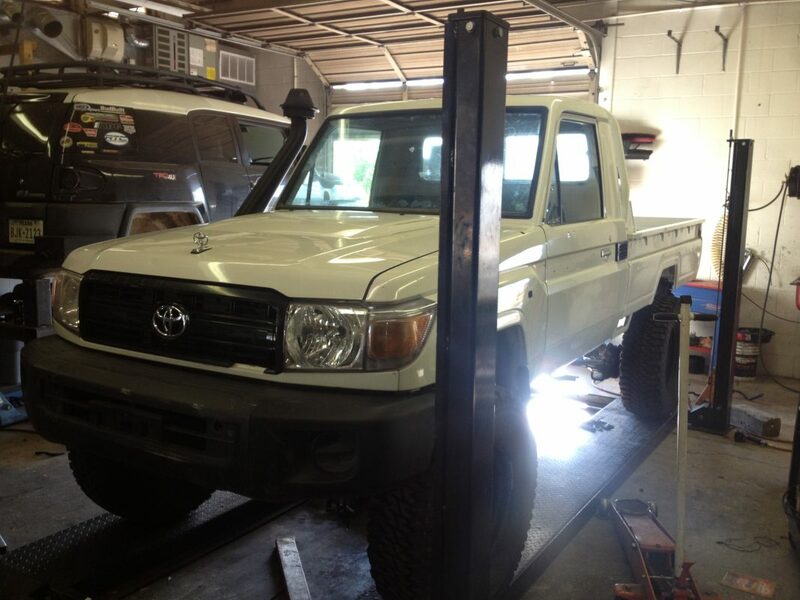 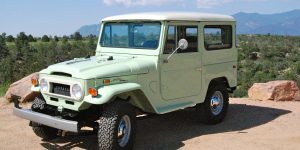 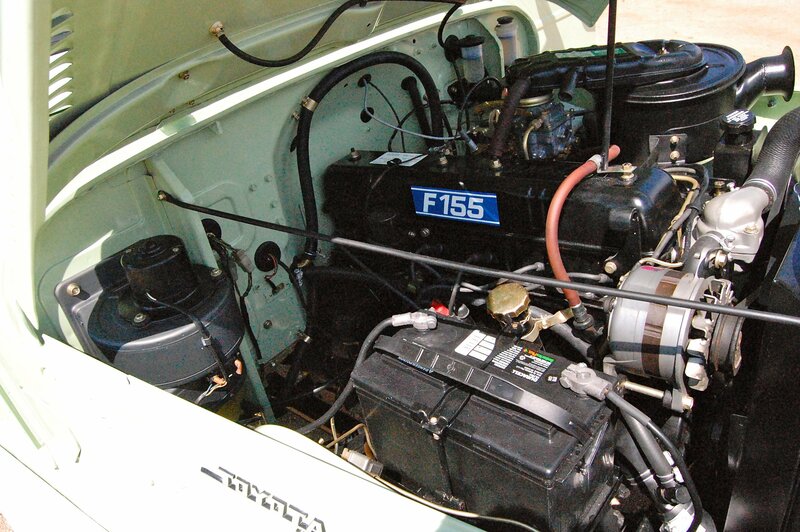 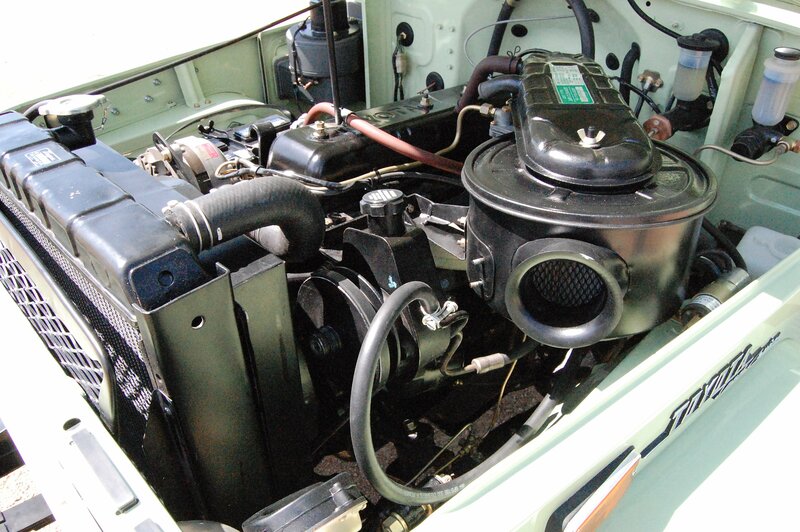 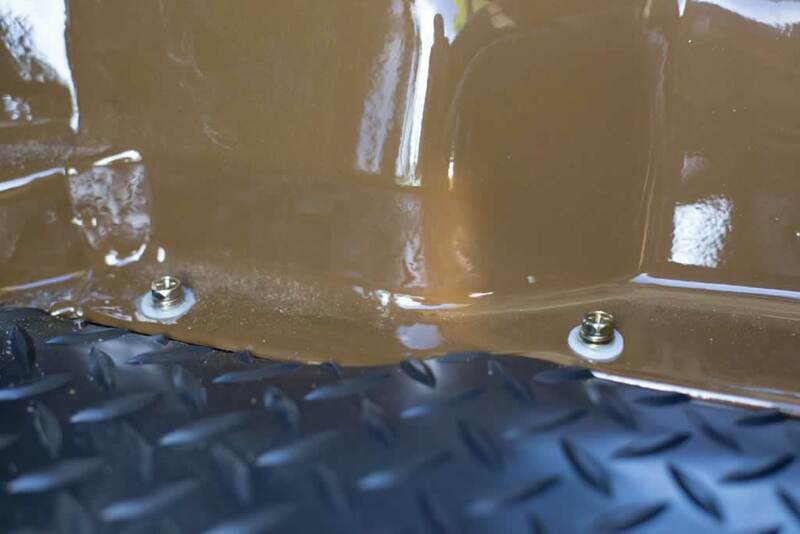 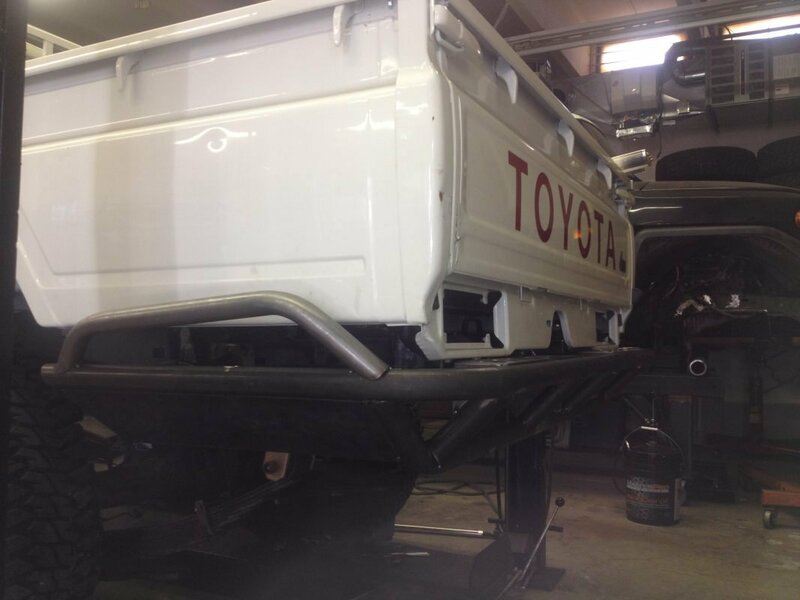 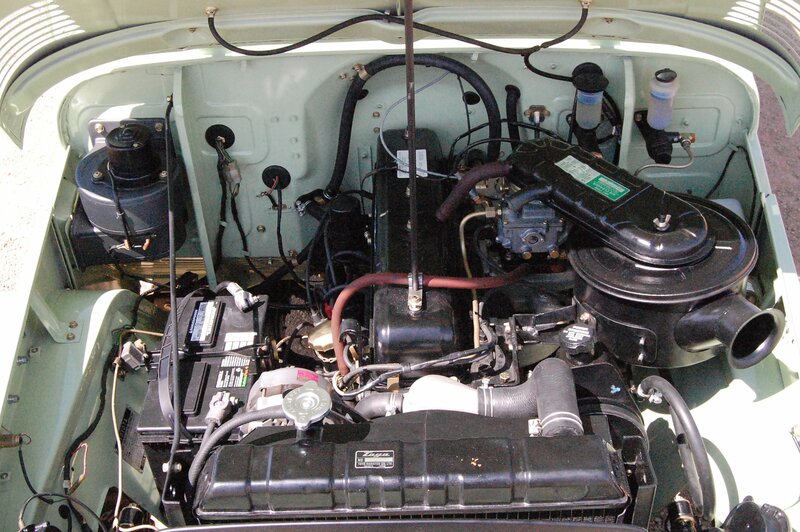 This FJ was completely disassembled as far as it could be without removing the body from the frame and every piece including the body tub was media blasted and epoxy primed multiple times, massaged and then painted inside and out with 3 coats of Dupont ProThane factory correct Olive brown (code 653). 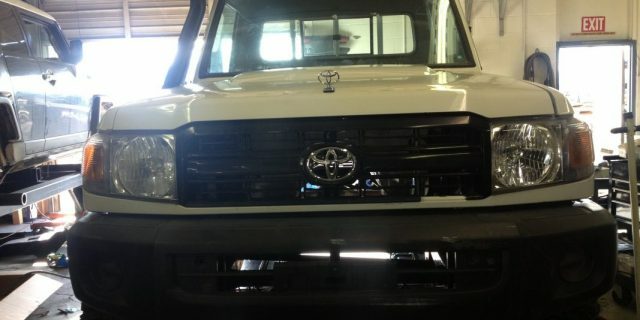 The white trim was painted factory correct Cygnus white. 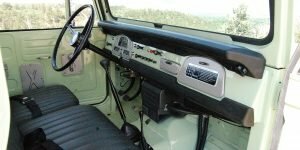 As you can see in the pictures this vehicle looks amazing! The pictures do not do it justice! 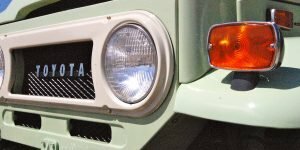 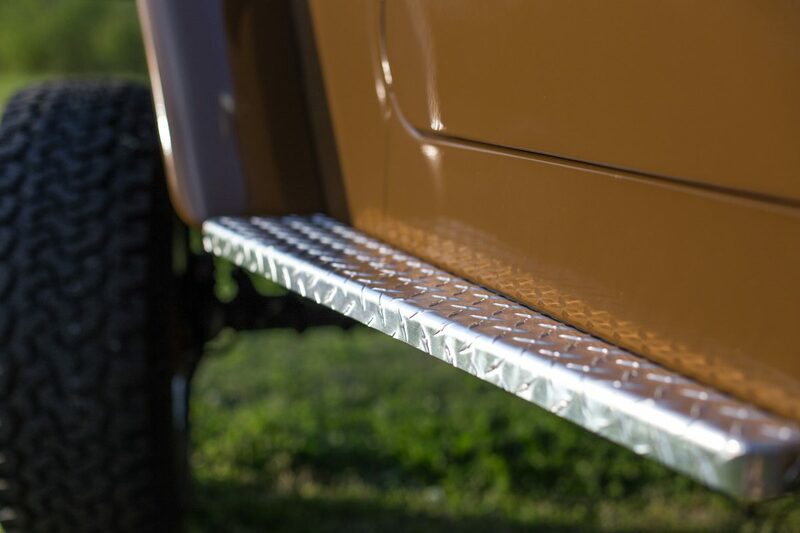 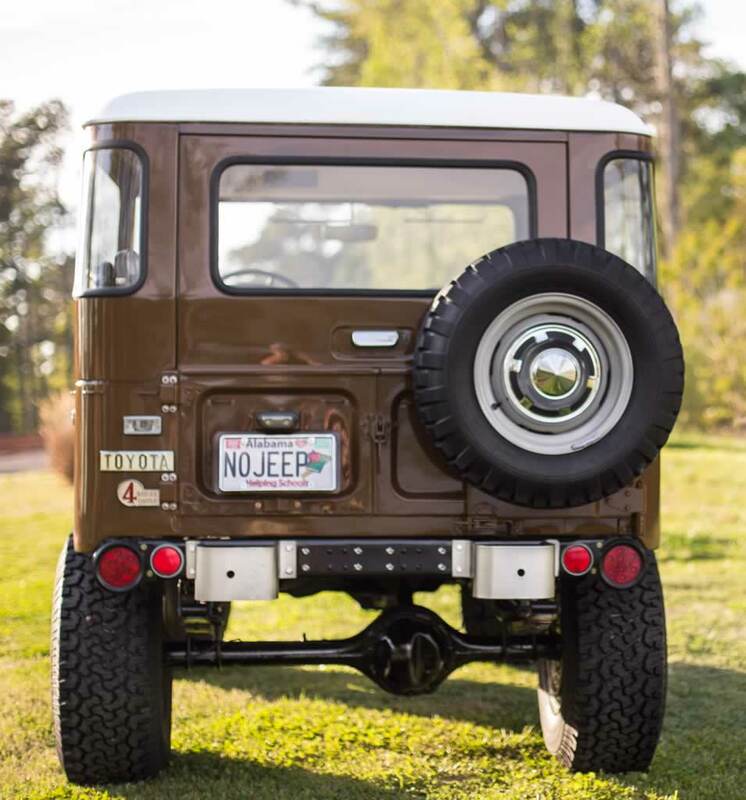 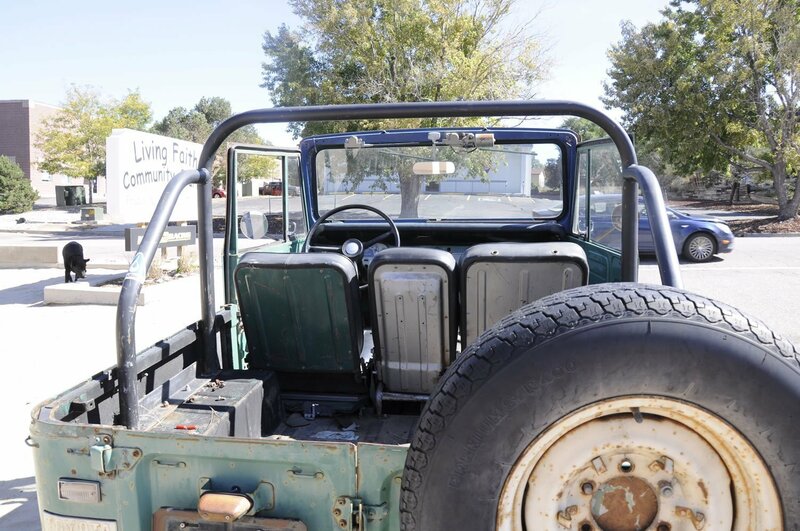 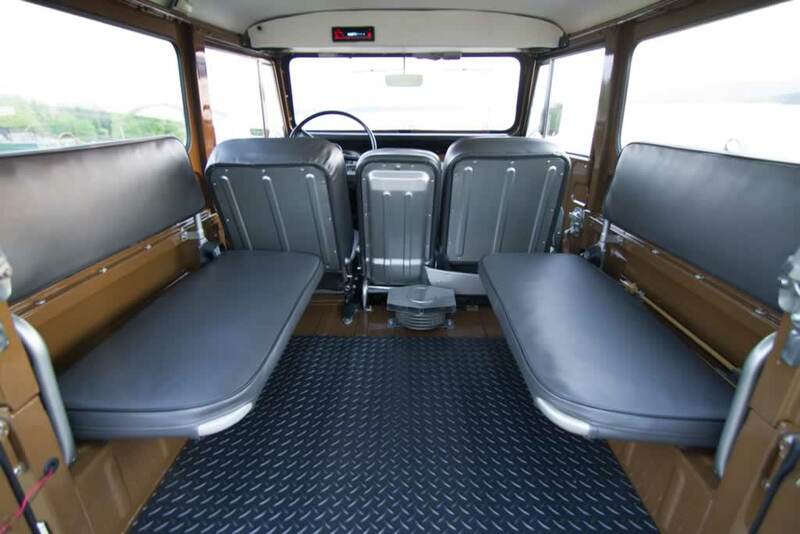 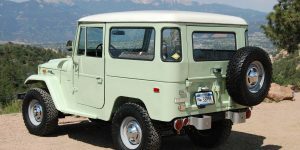 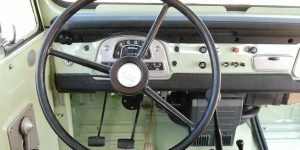 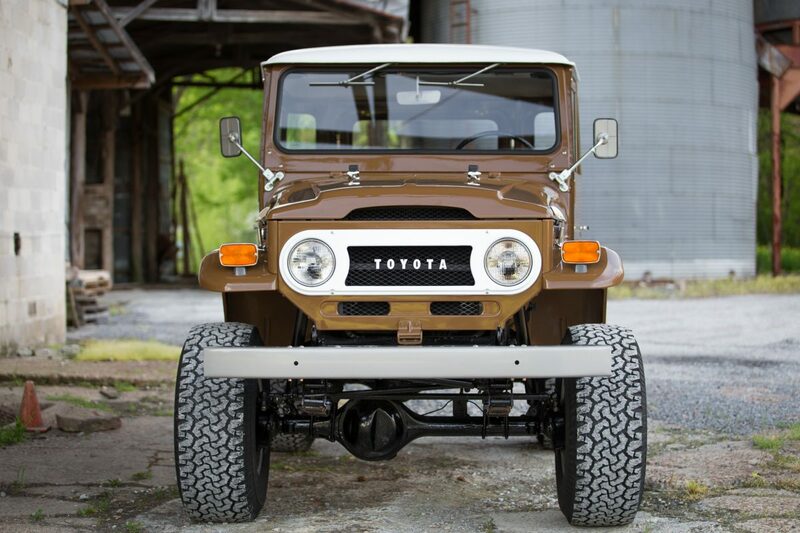 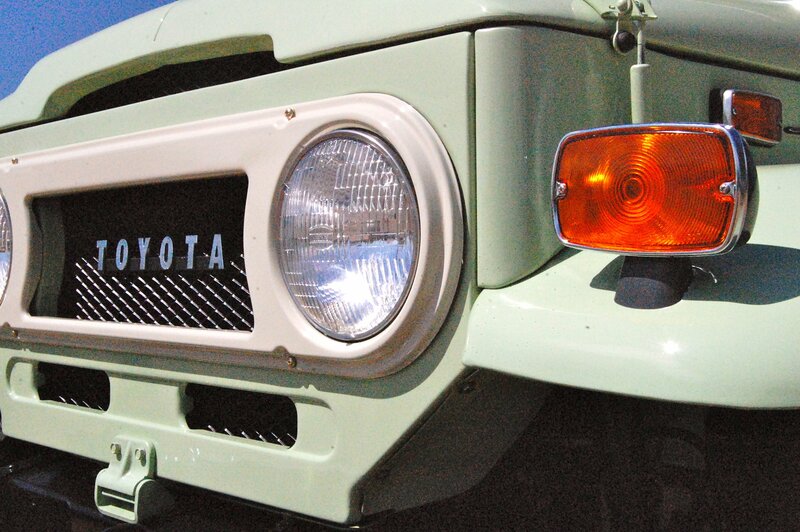 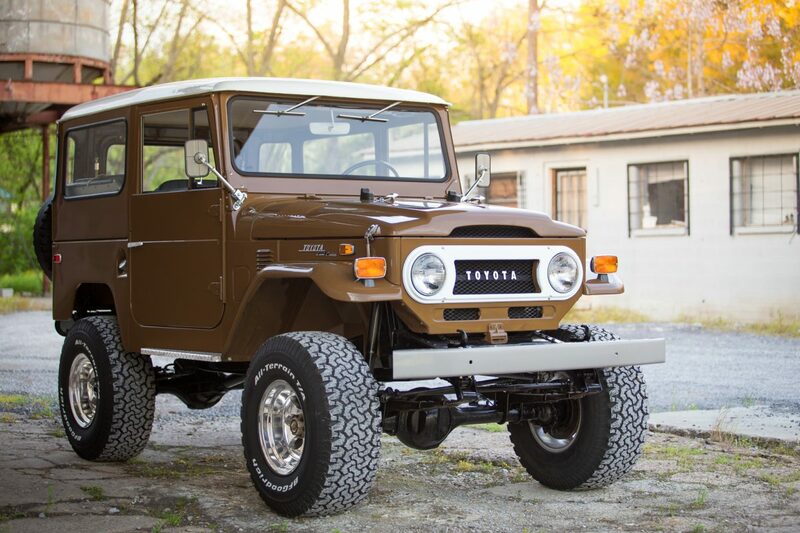 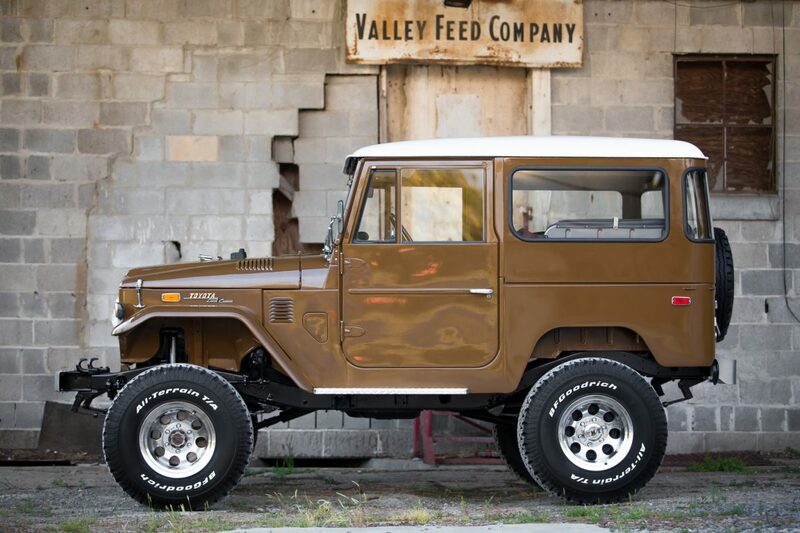 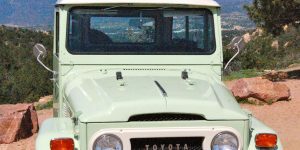 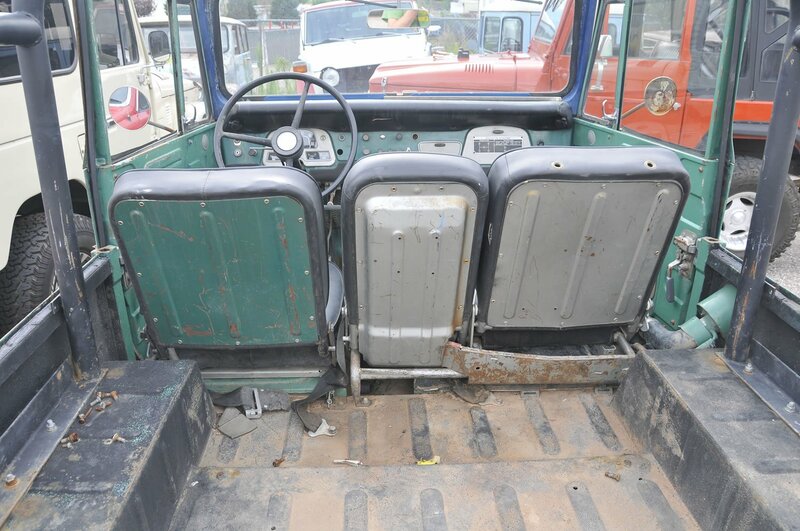 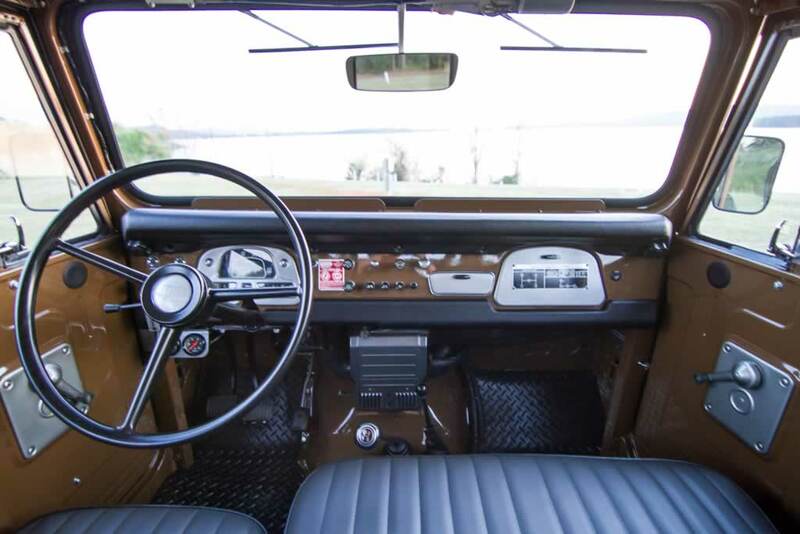 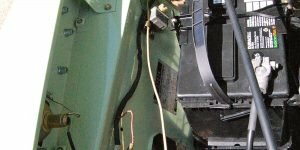 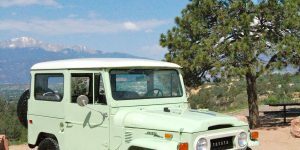 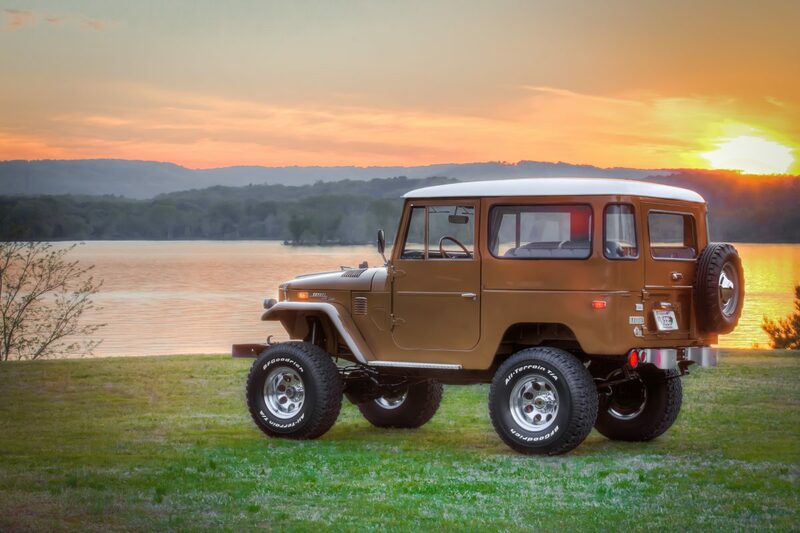 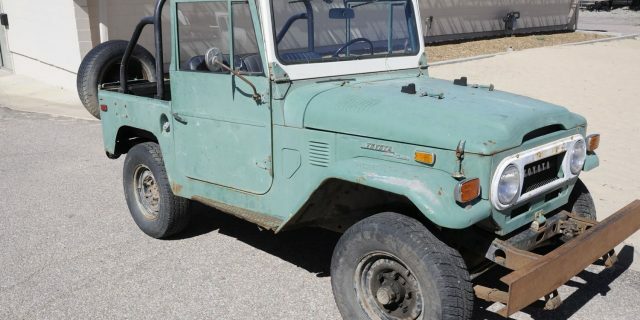 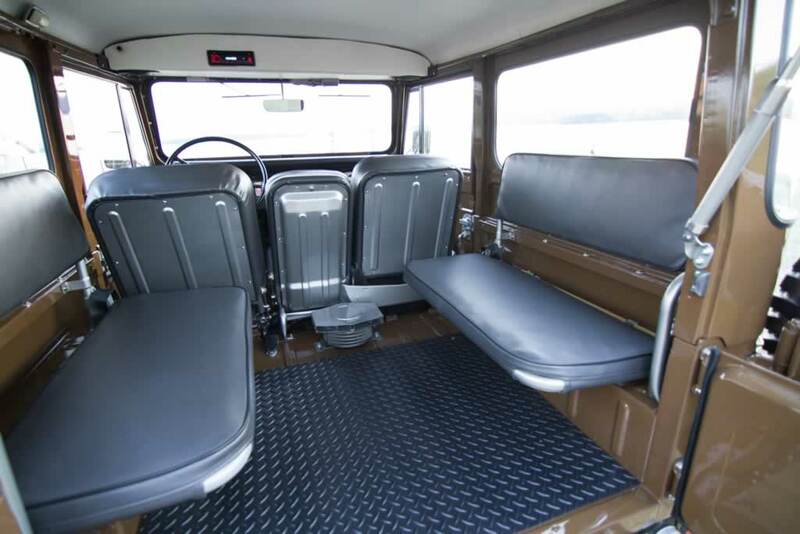 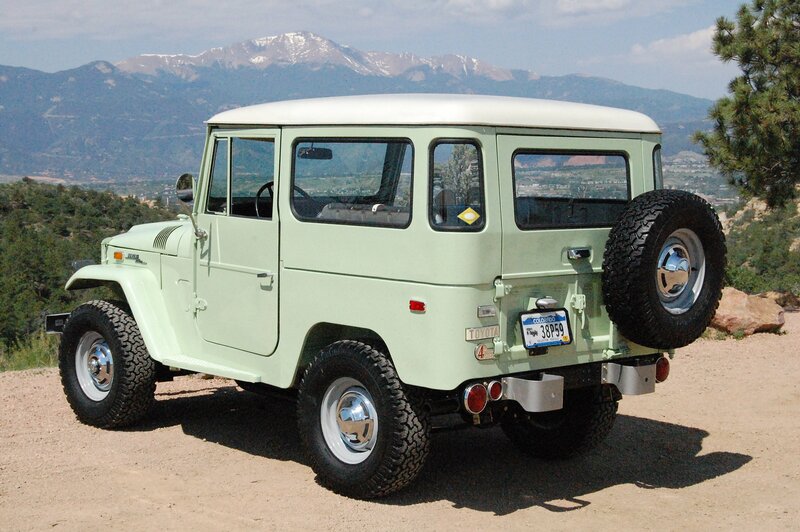 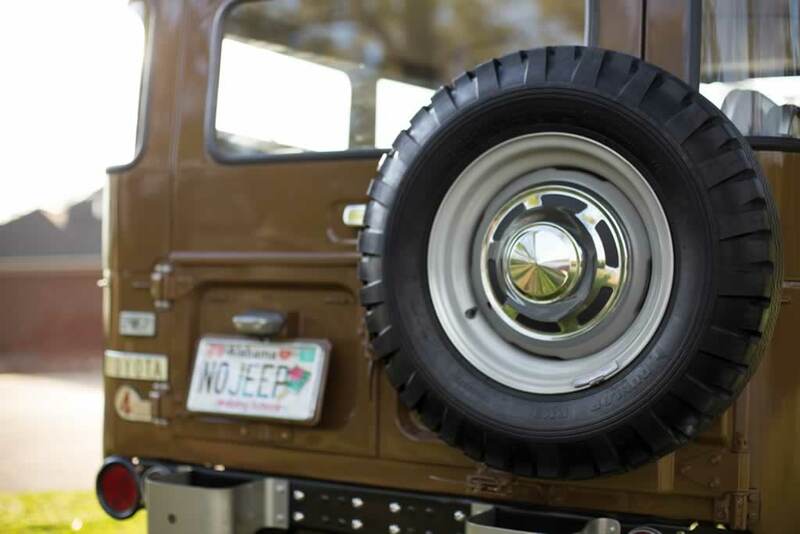 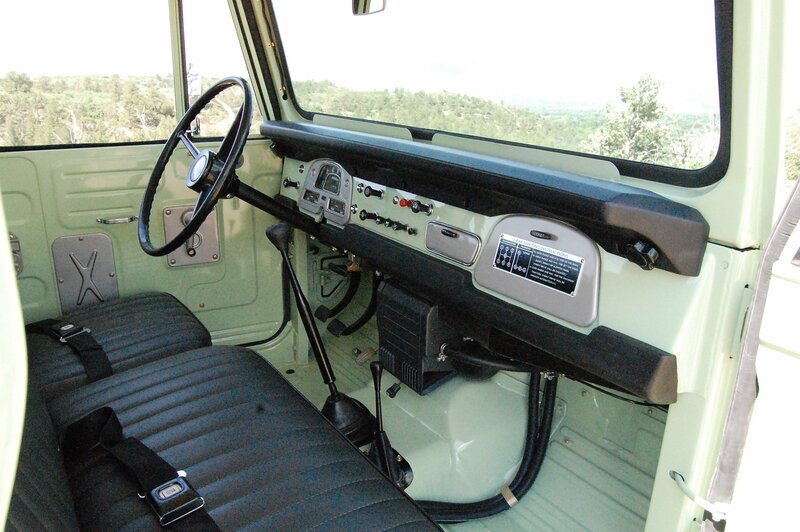 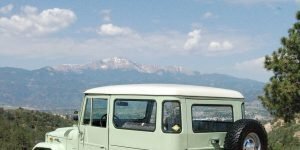 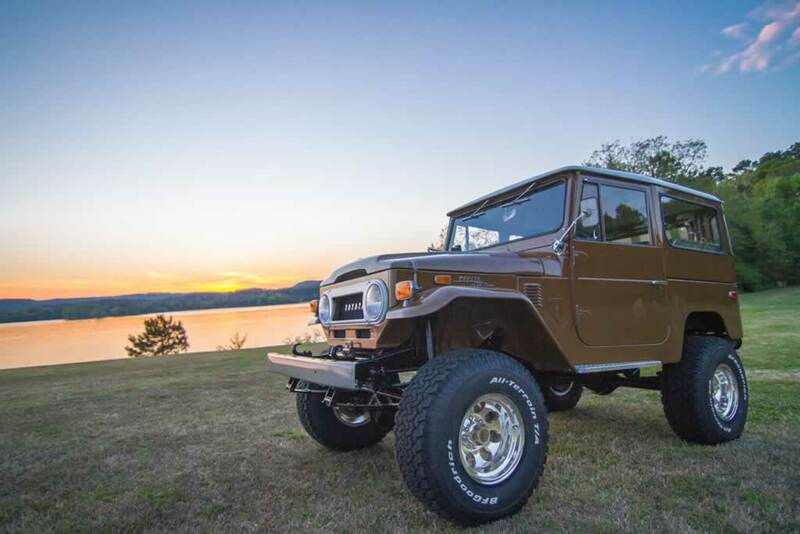 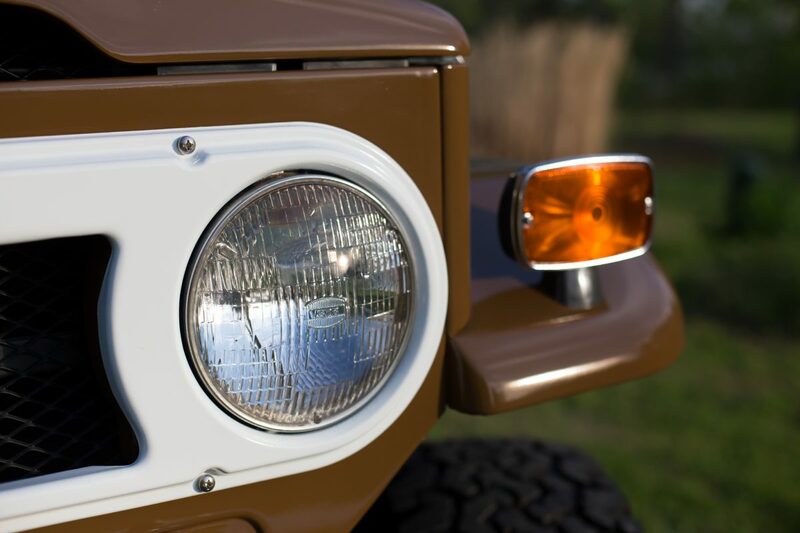 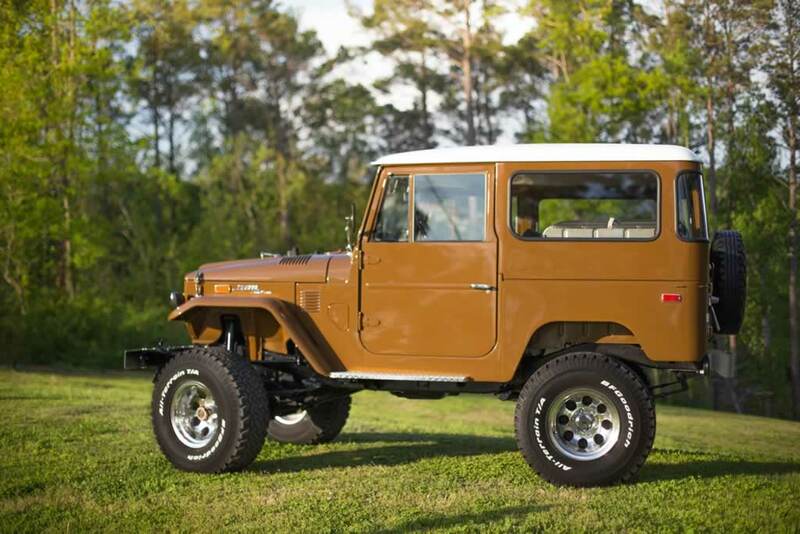 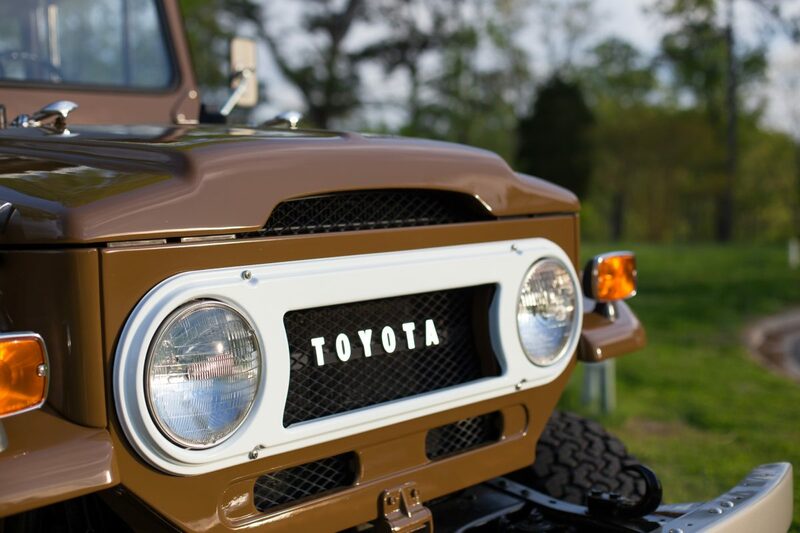 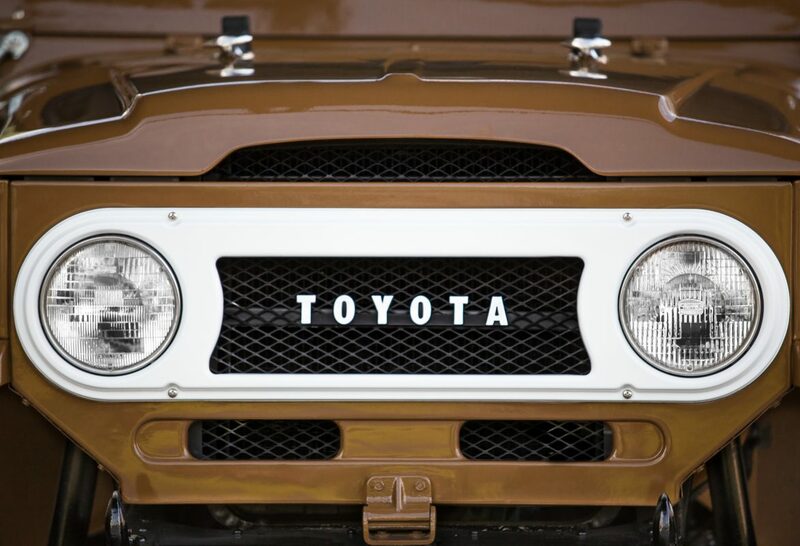 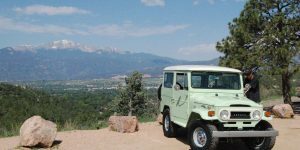 I could talk for days about this FJ40 but look at the pictures, watch the video and decide for yourself!